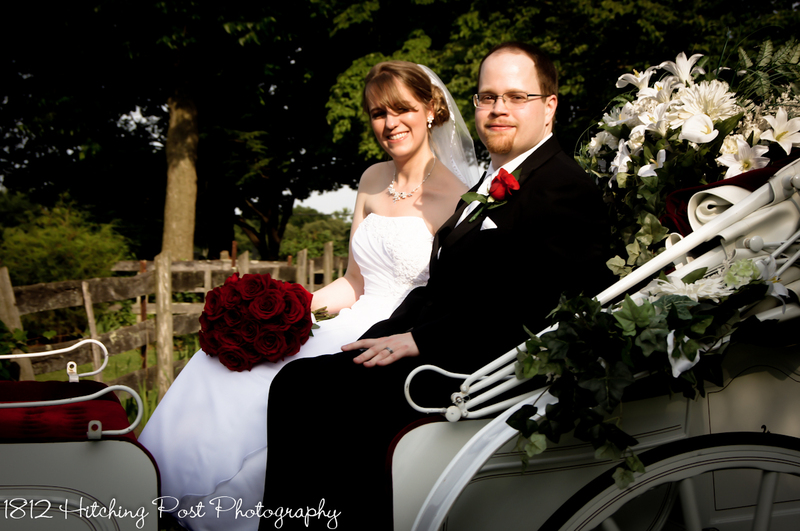 After posting a different “Amber and Jason” wedding on Facebook, THIS Jason made a comment that sent me back to their photos. 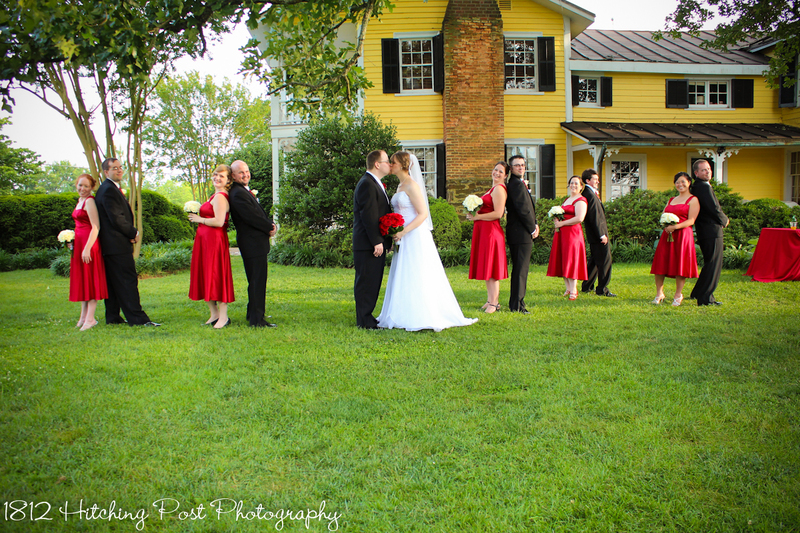 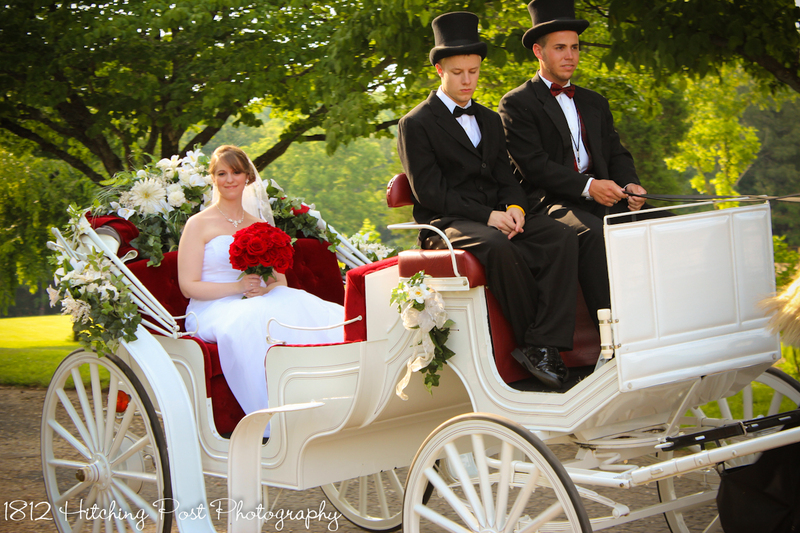 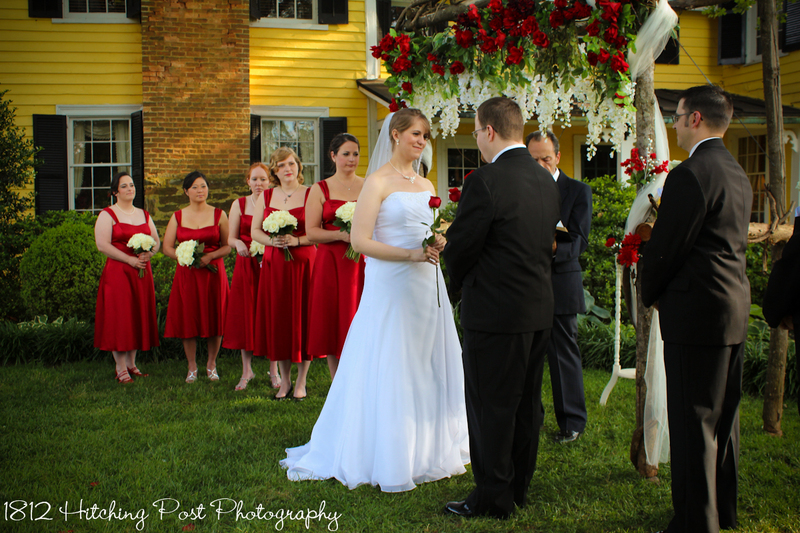 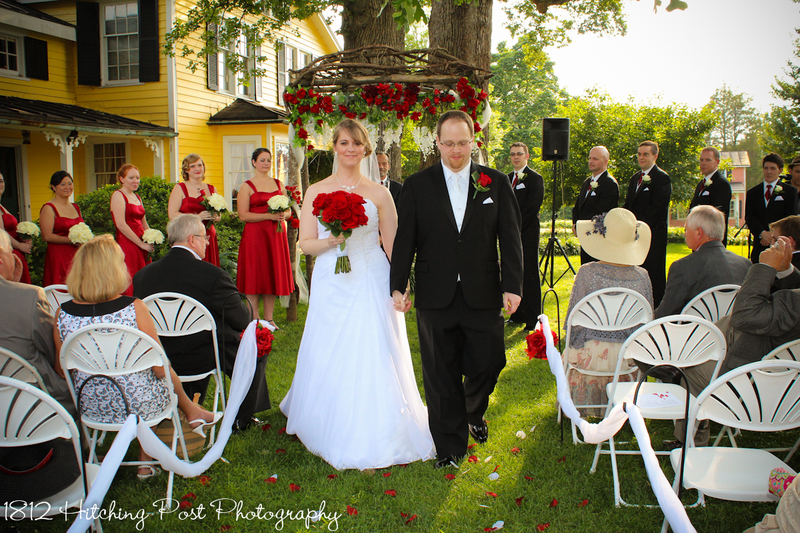 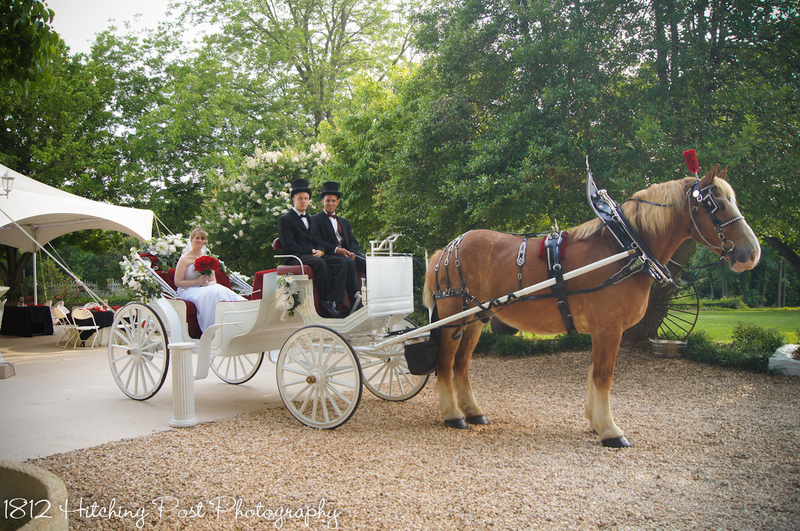 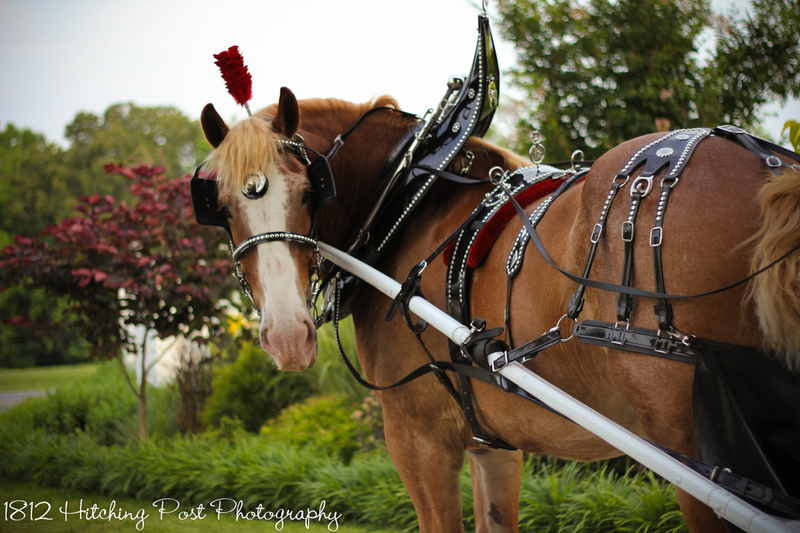 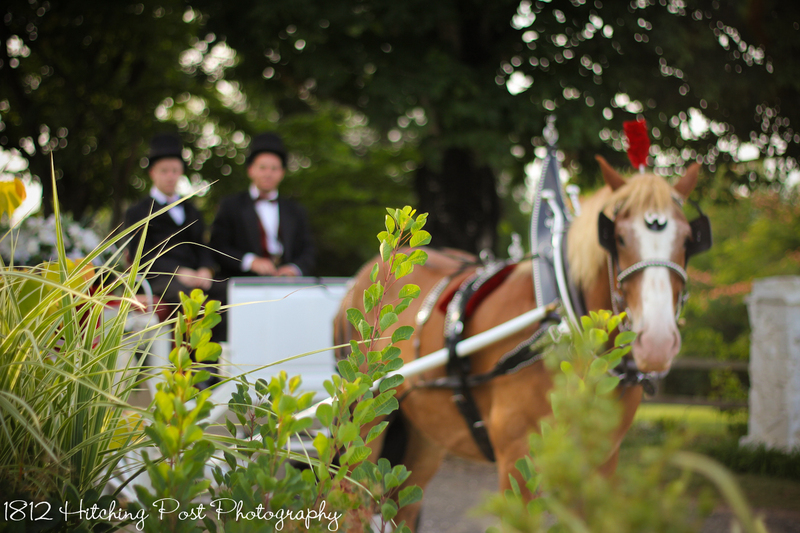 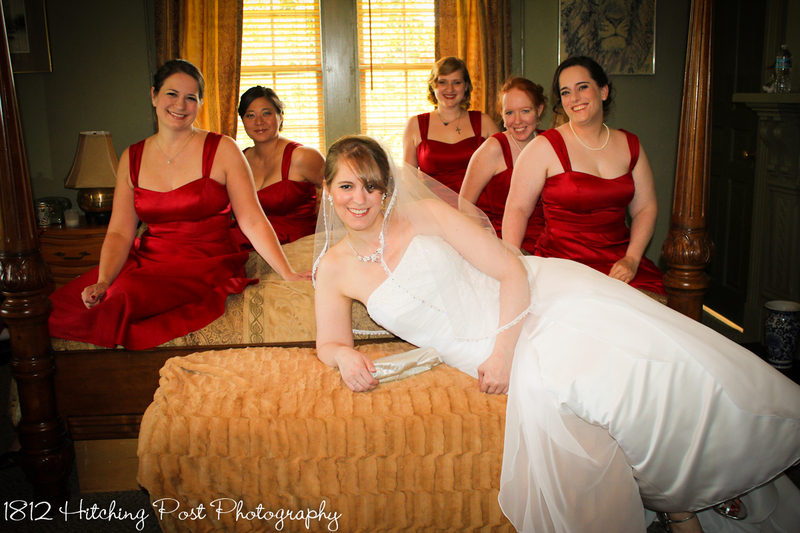 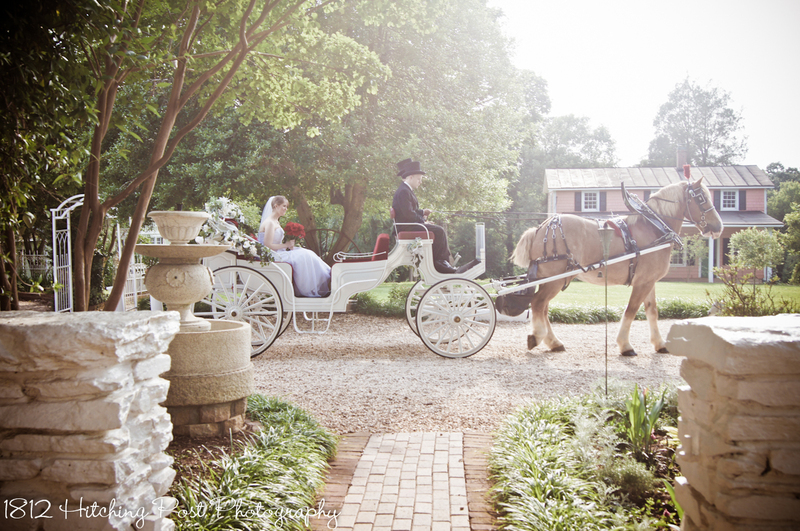 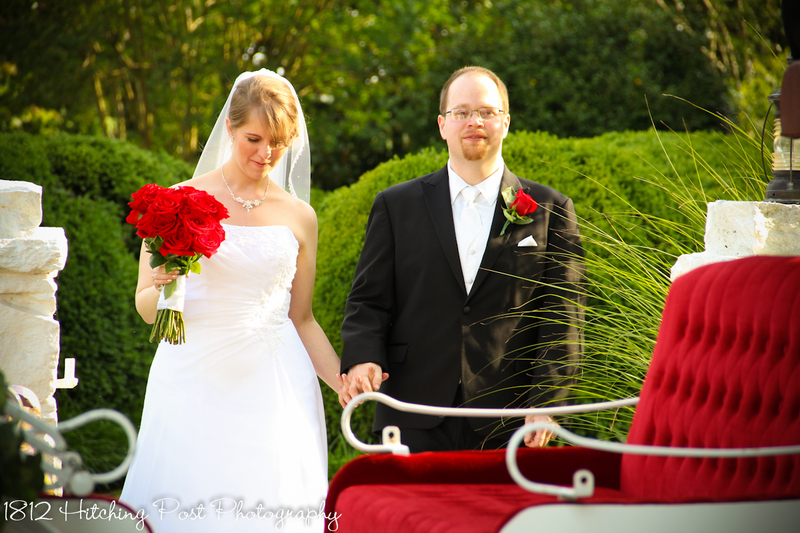 Their June wedding was gorgeous and so special with the touches of red and a horse and carriage. 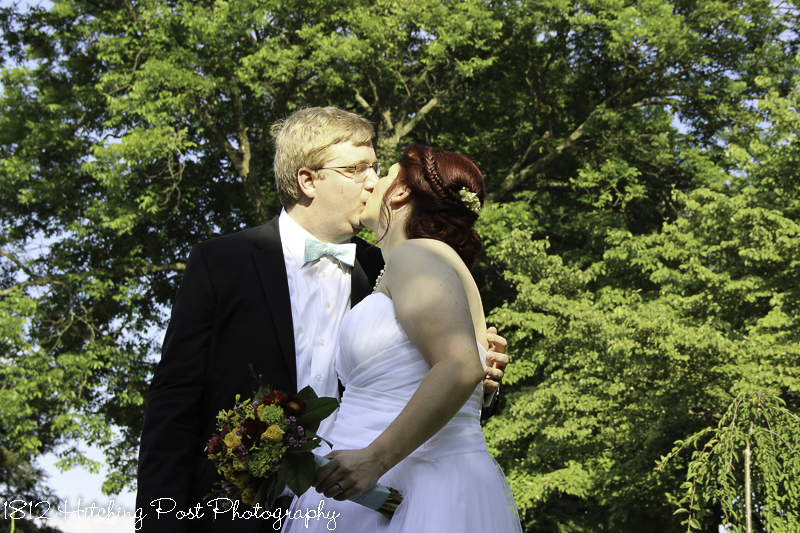 I had to post their photos again! 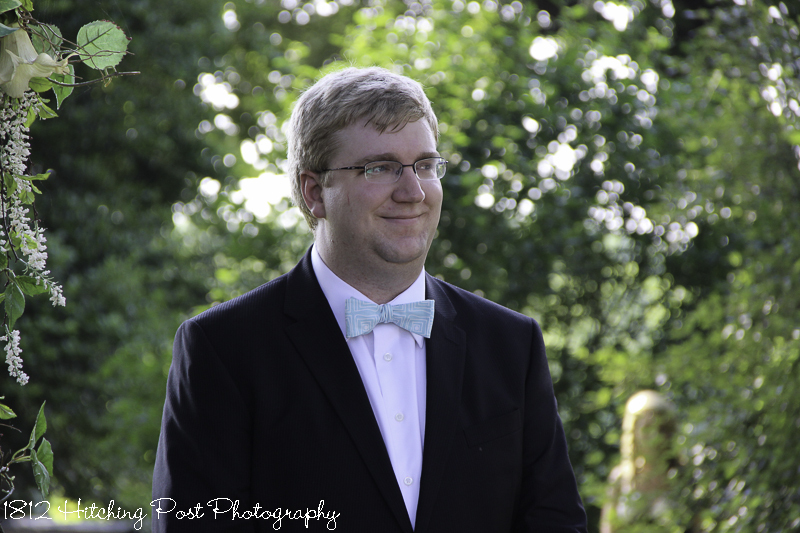 Jason first cracked me up with a comment after the tasting and he’s been making me smile ever since on Facebook. 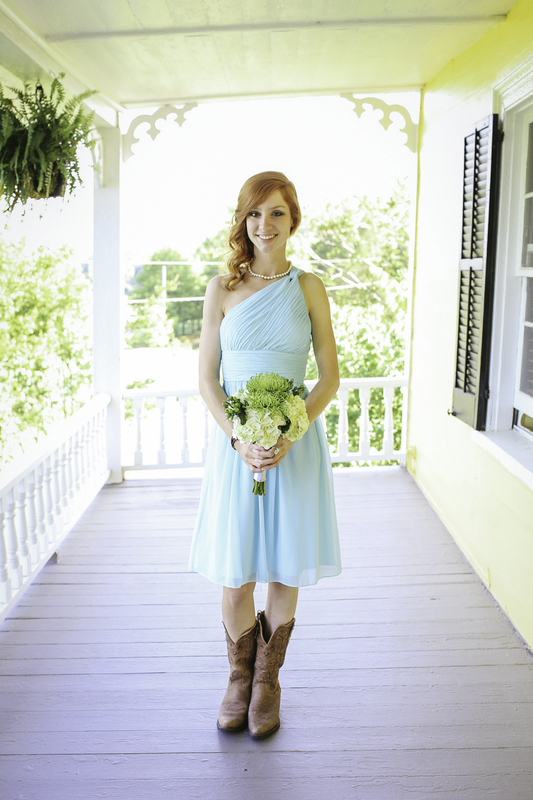 Amber is the perfect “foil” for him; so feminine and sweet! 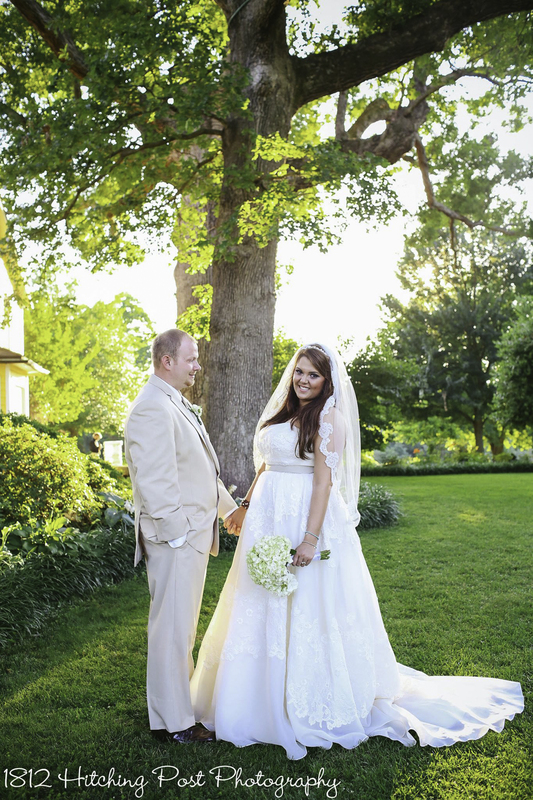 Nothing compares to their life now with little Autumn Rose, but their 2012 wedding was pretty darn awesome! 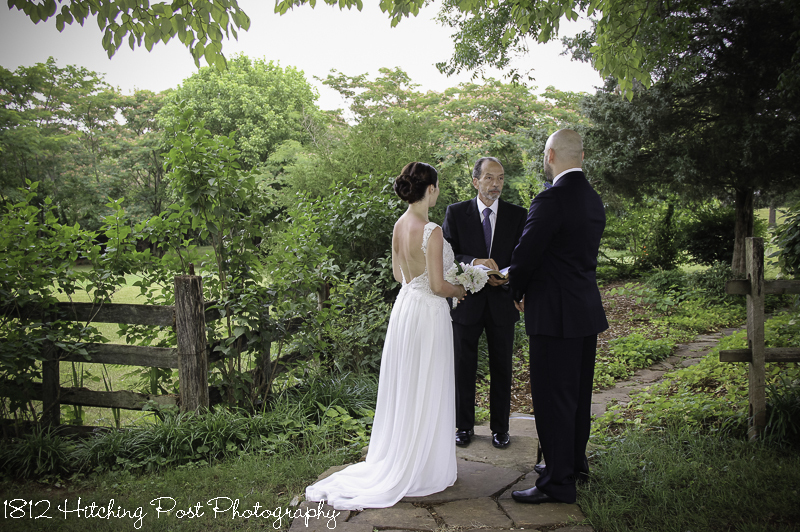 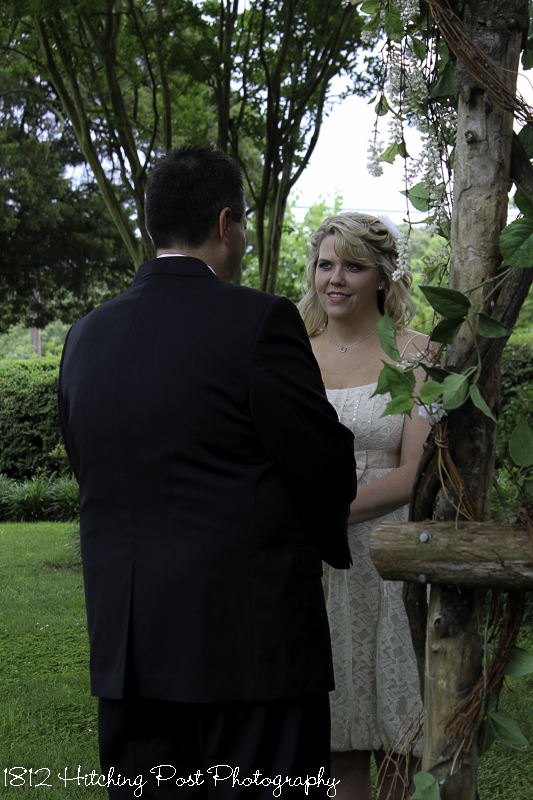 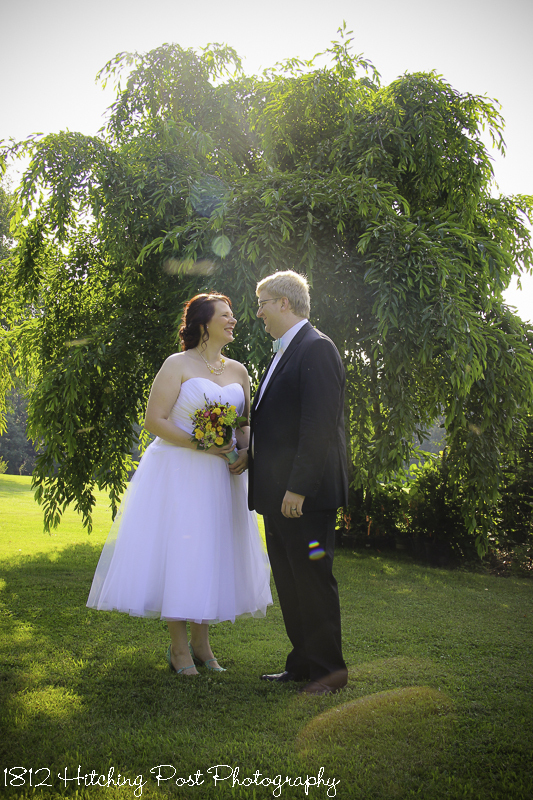 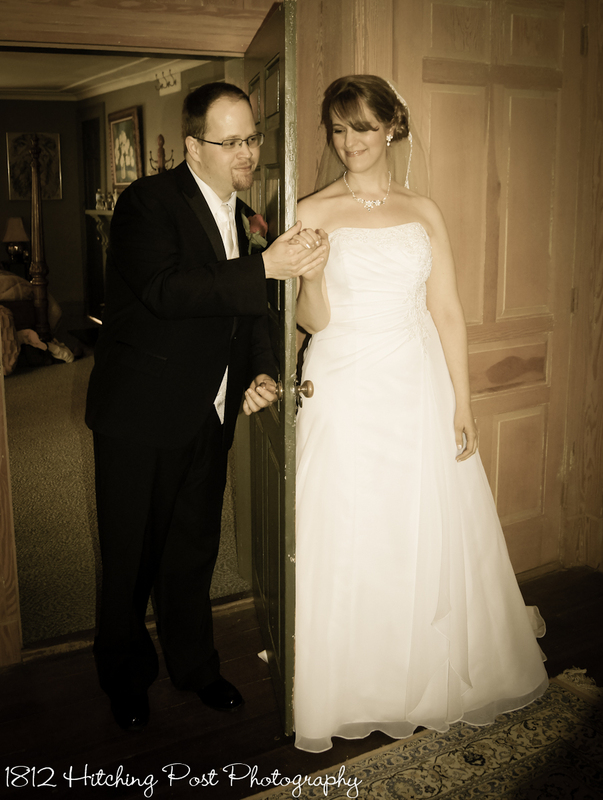 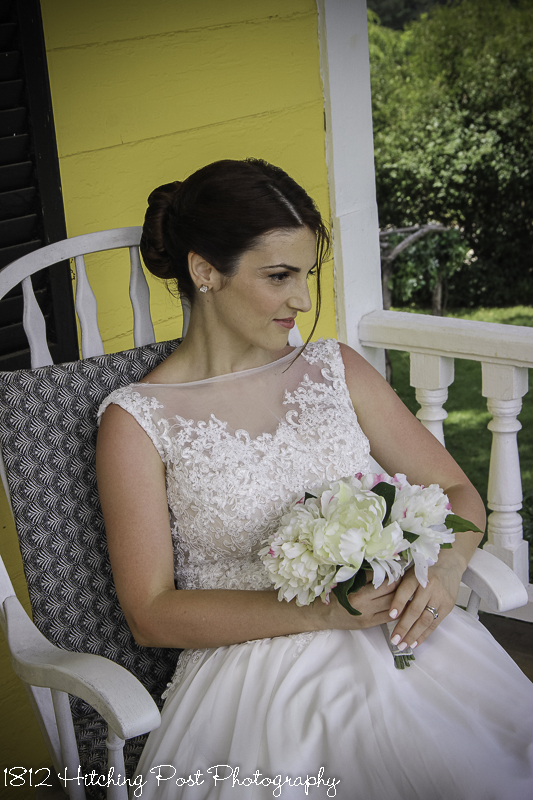 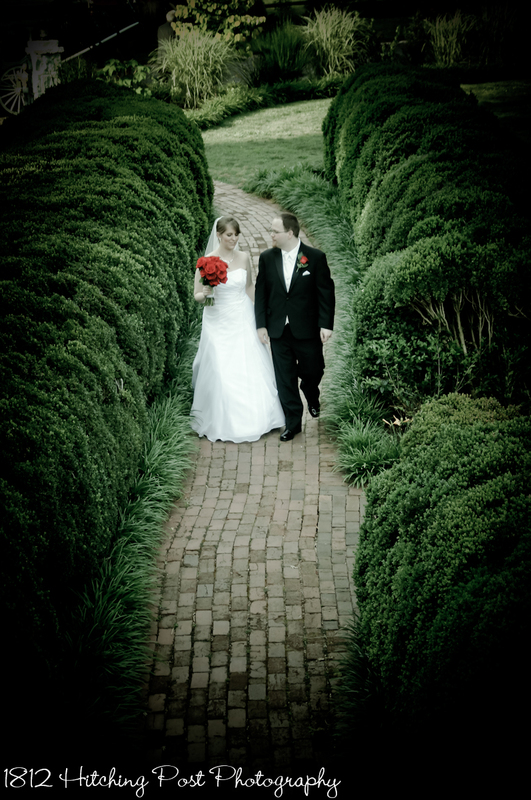 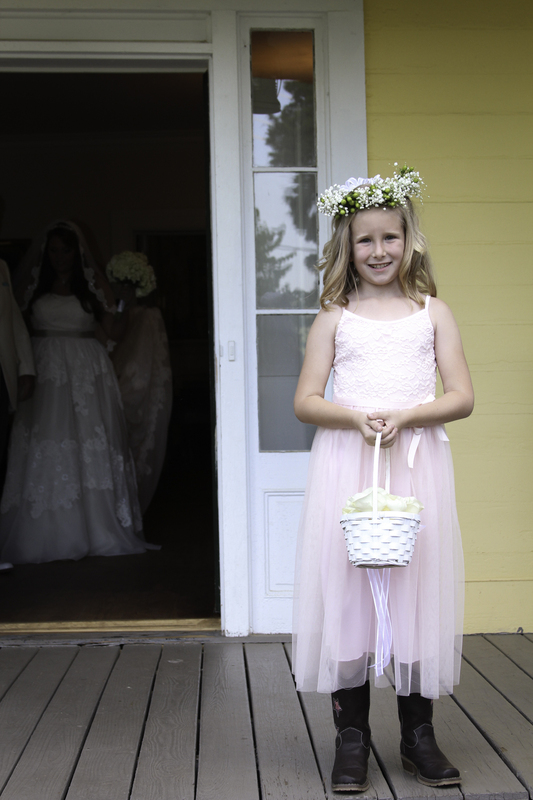 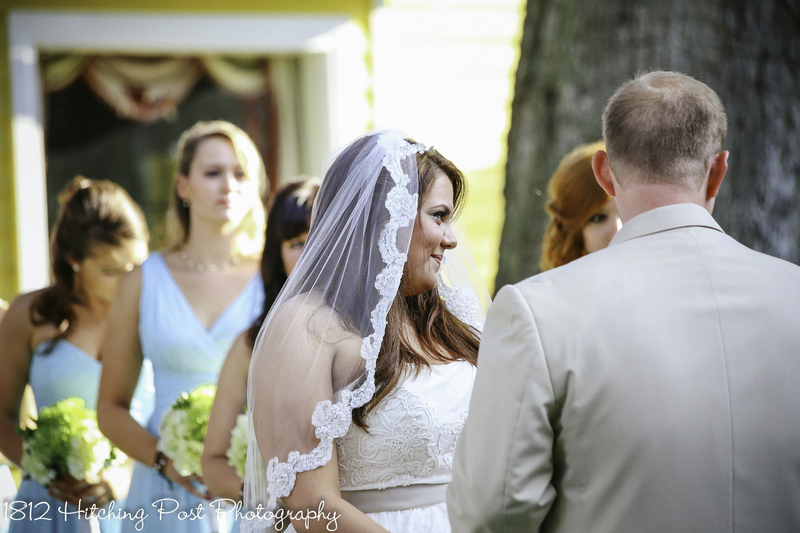 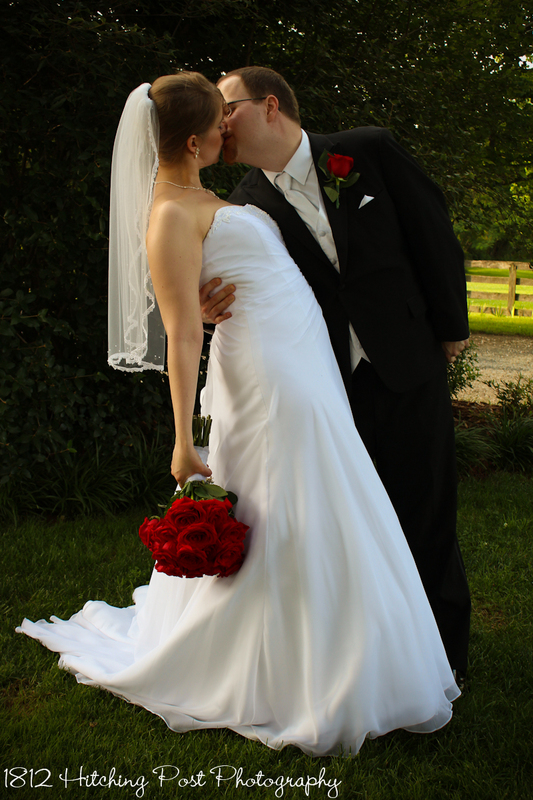 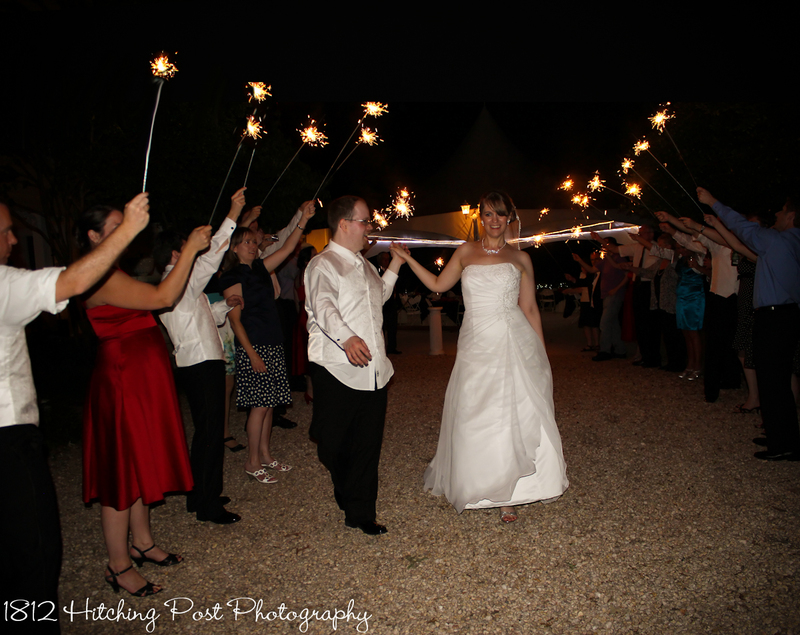 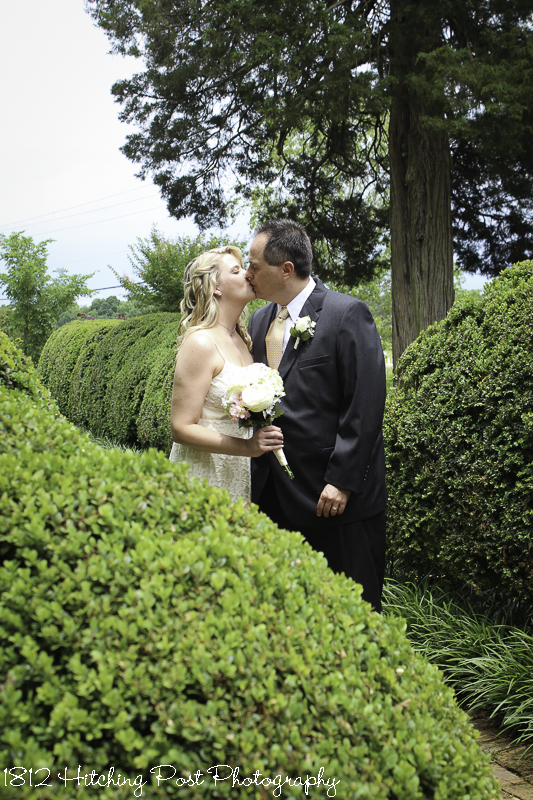 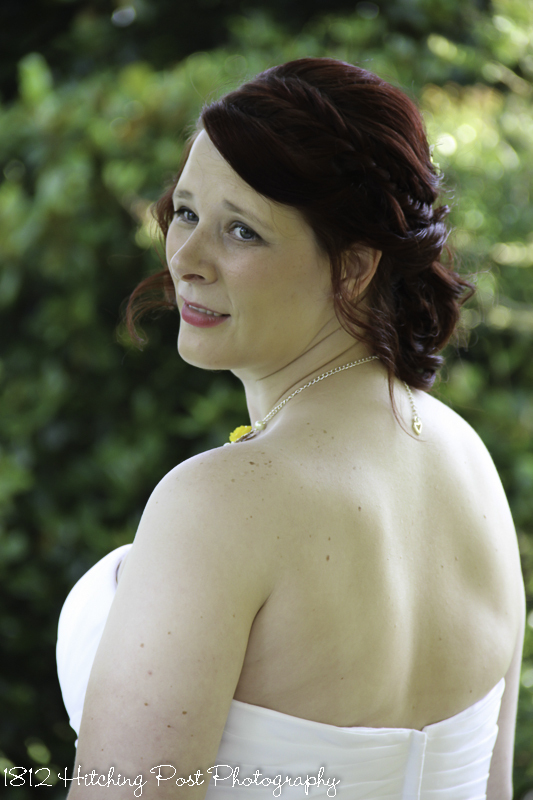 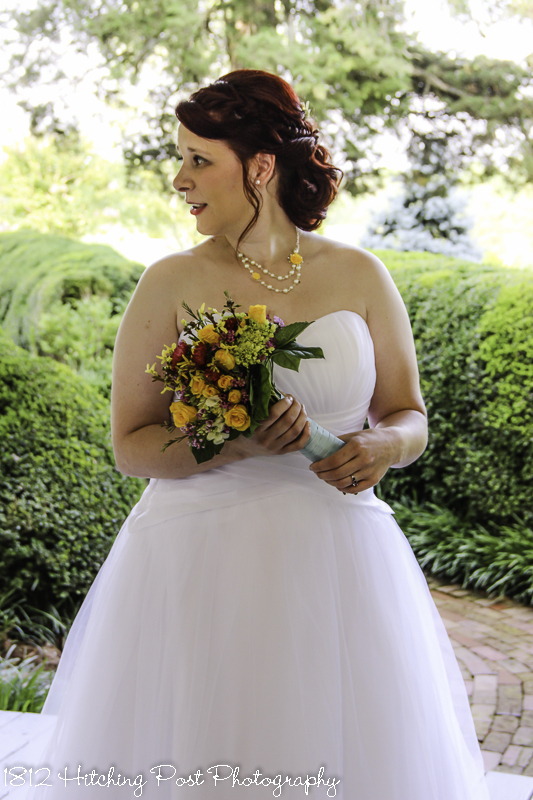 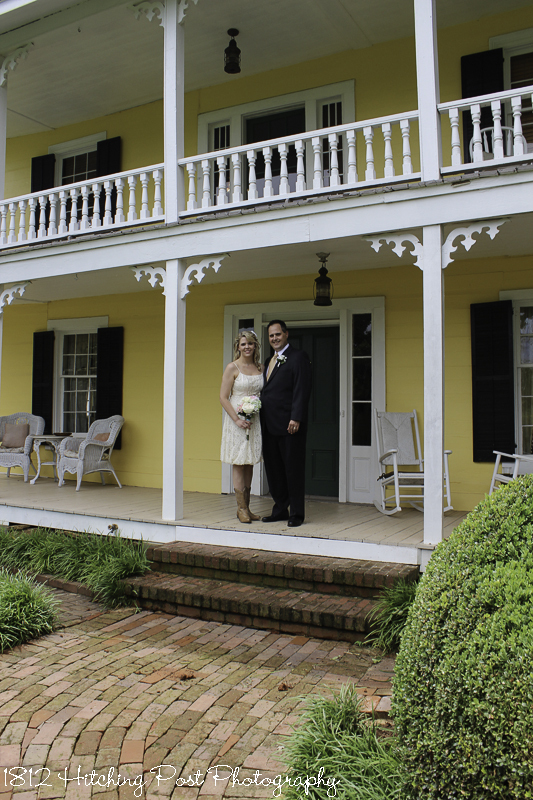 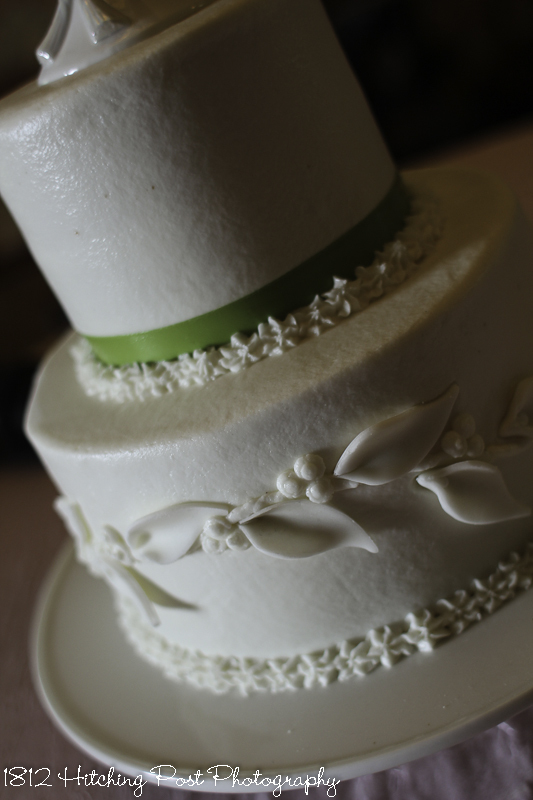 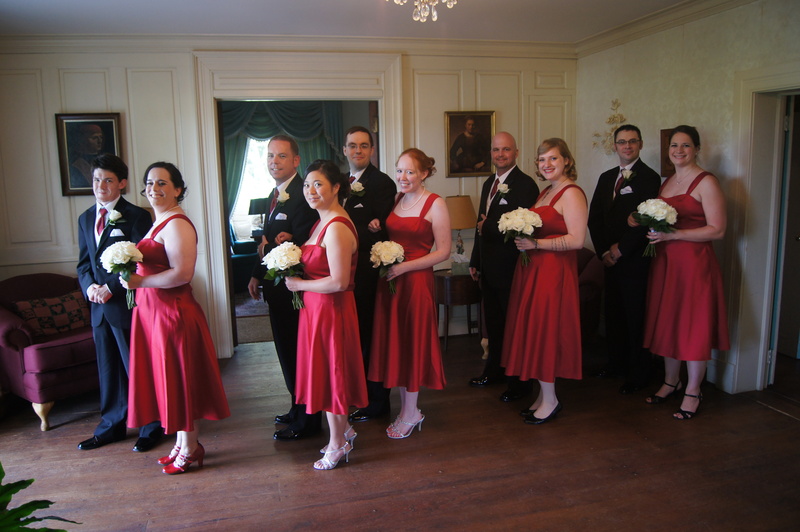 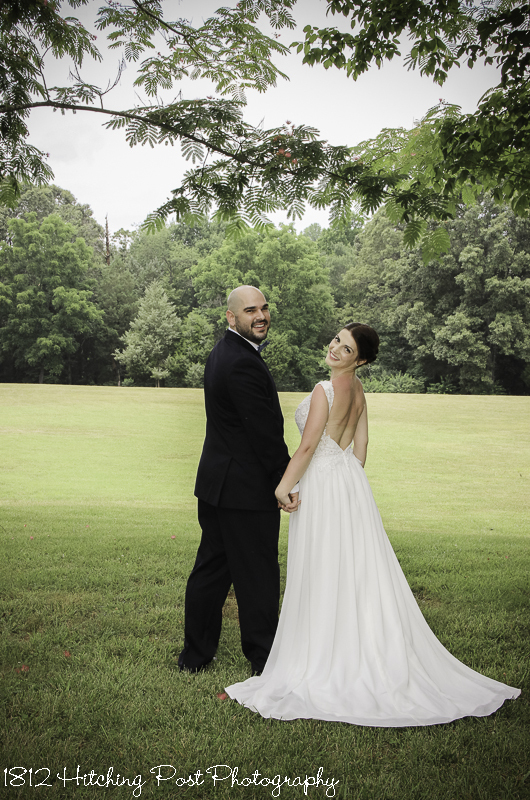 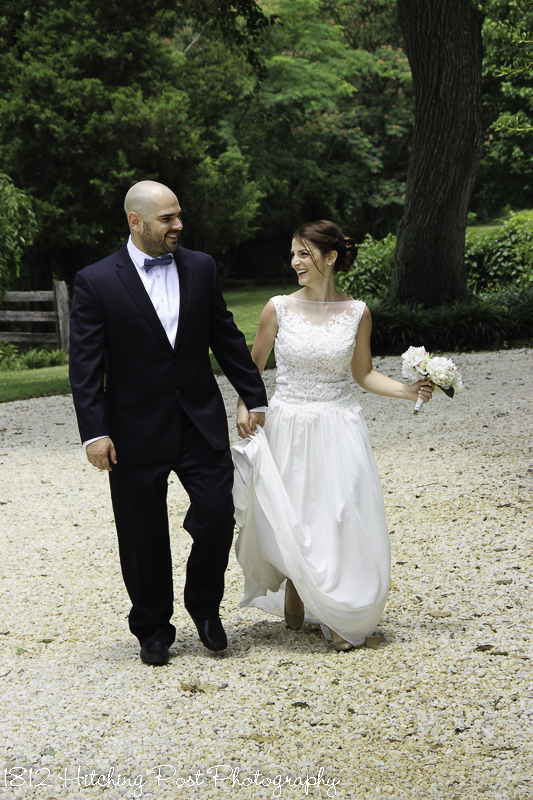 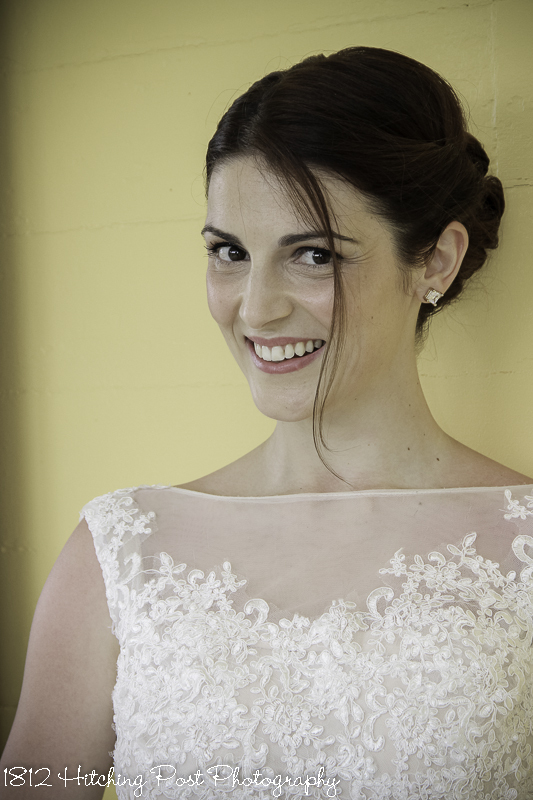 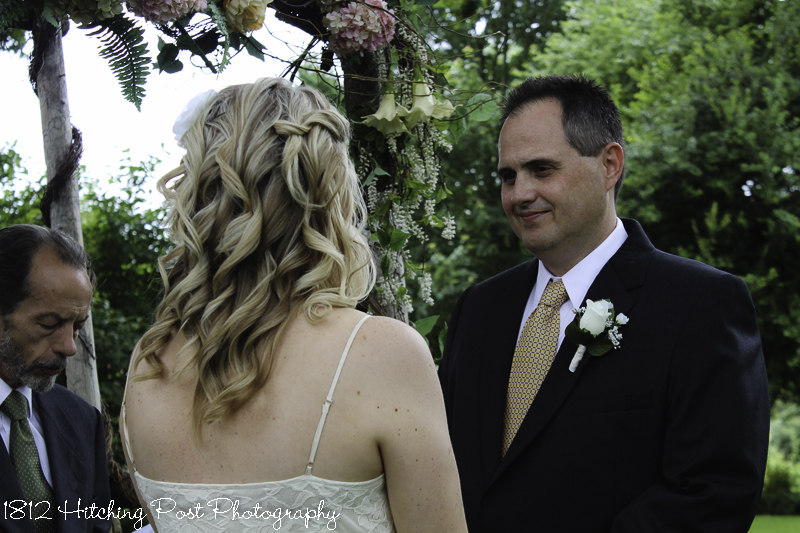 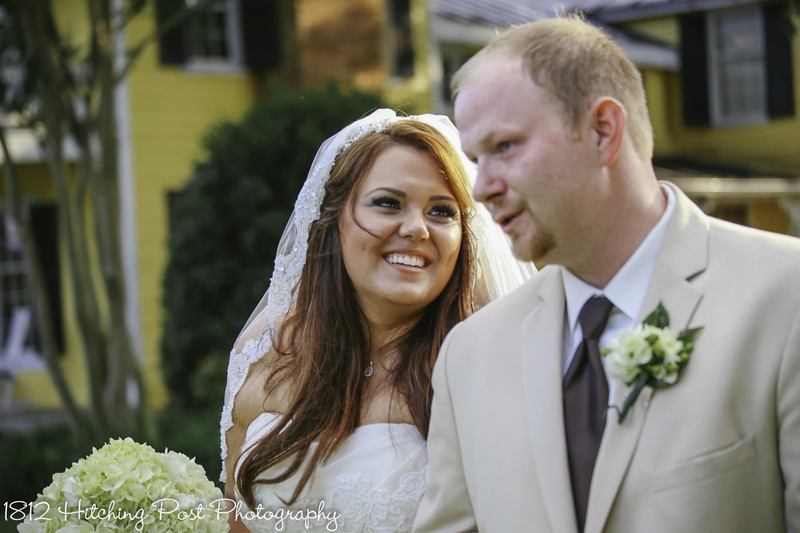 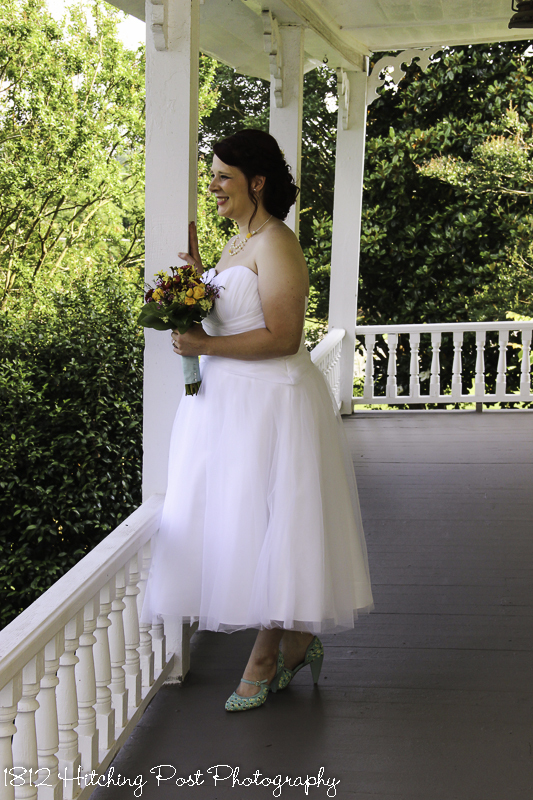 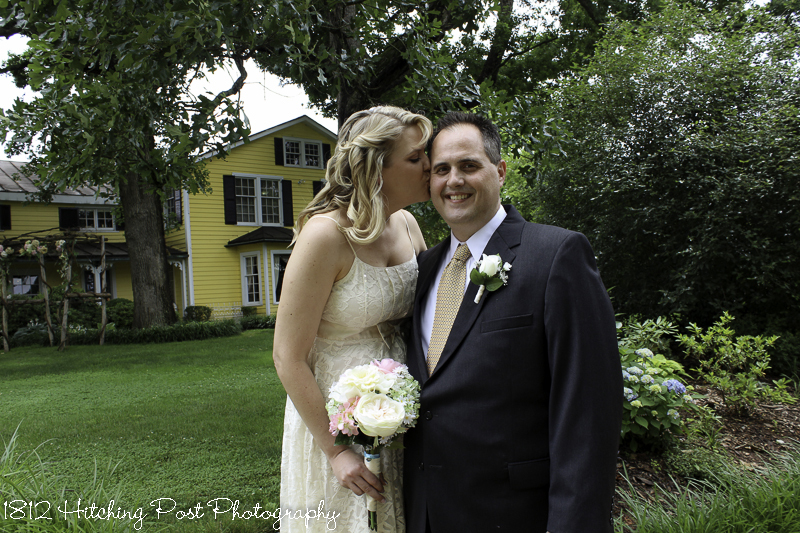 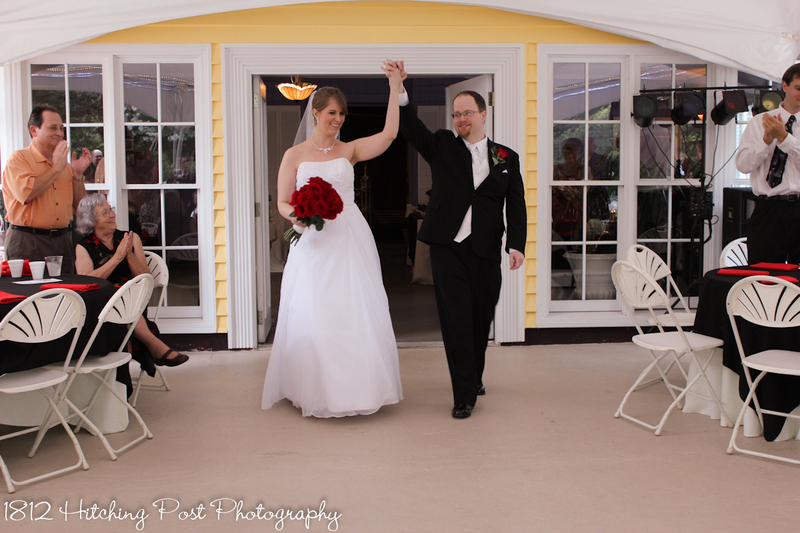 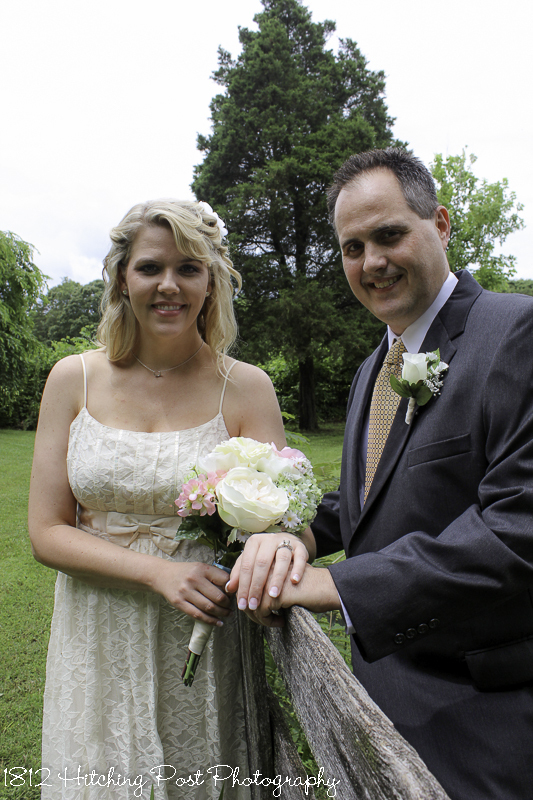 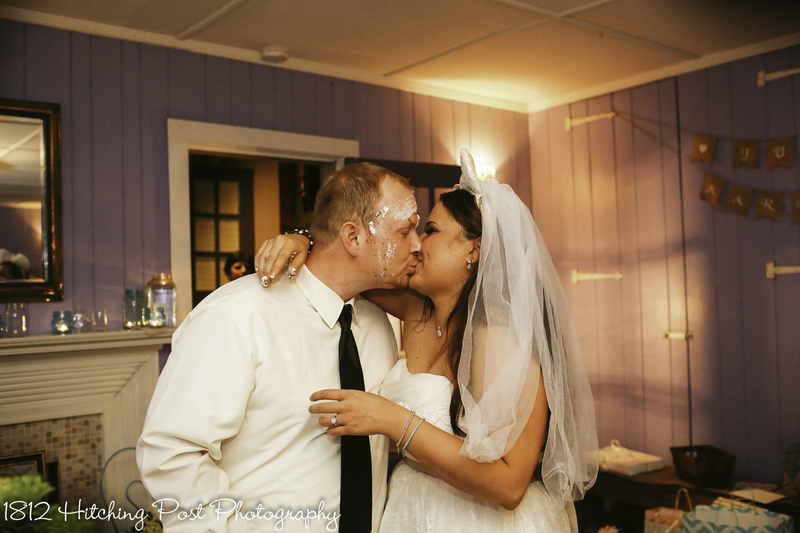 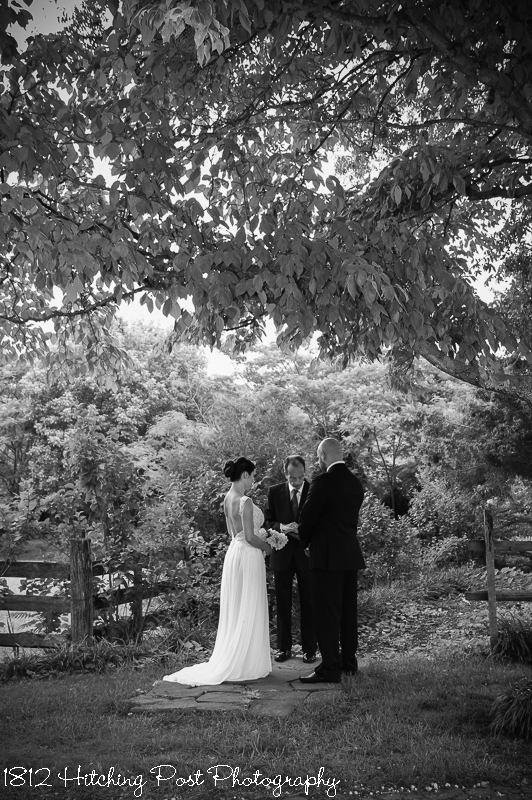 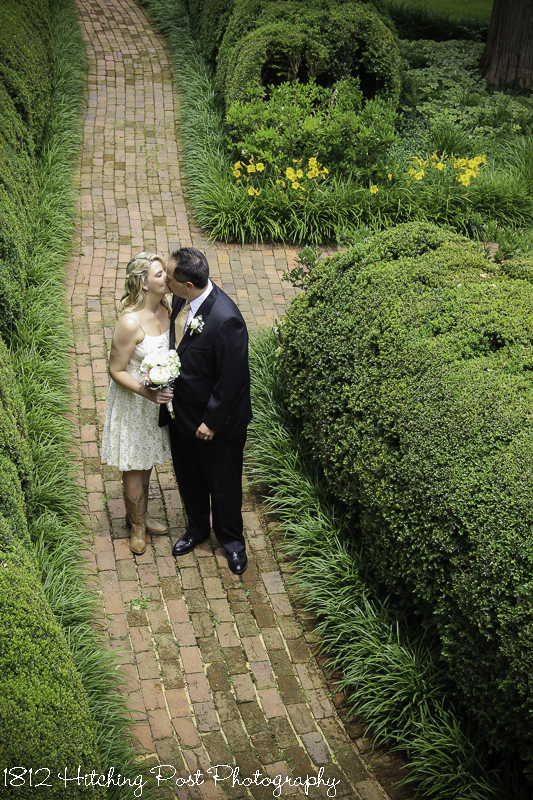 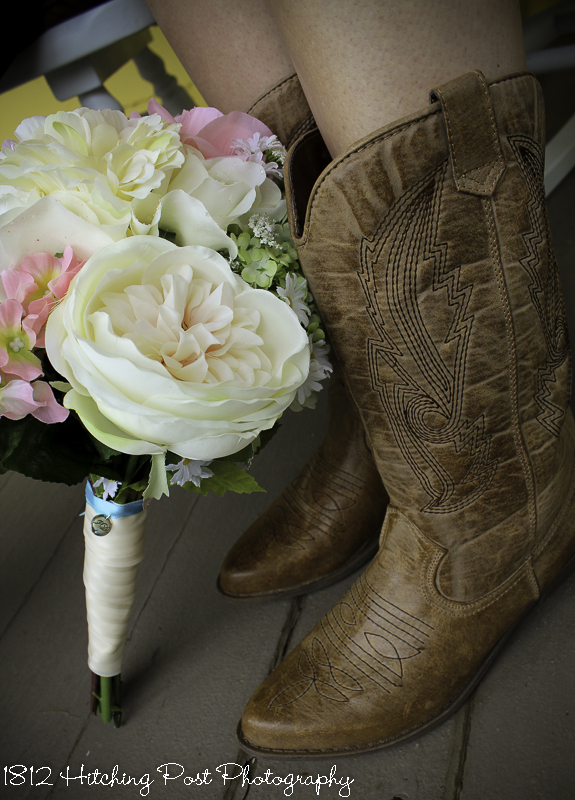 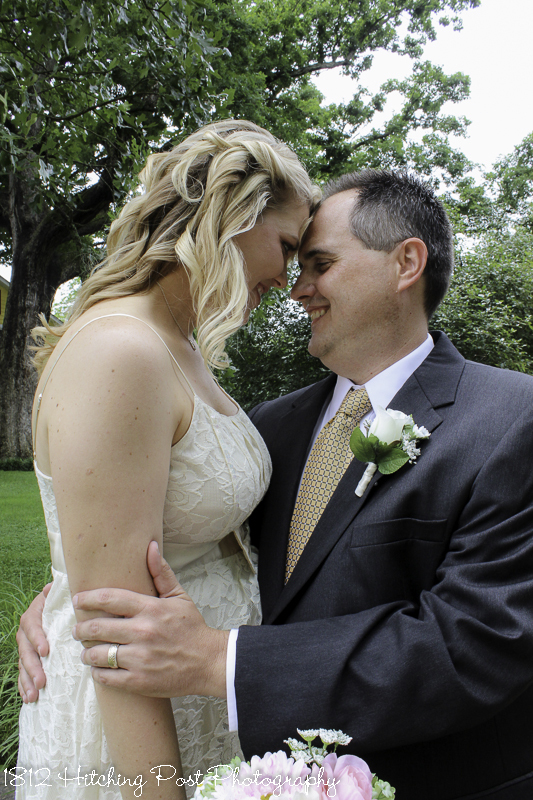 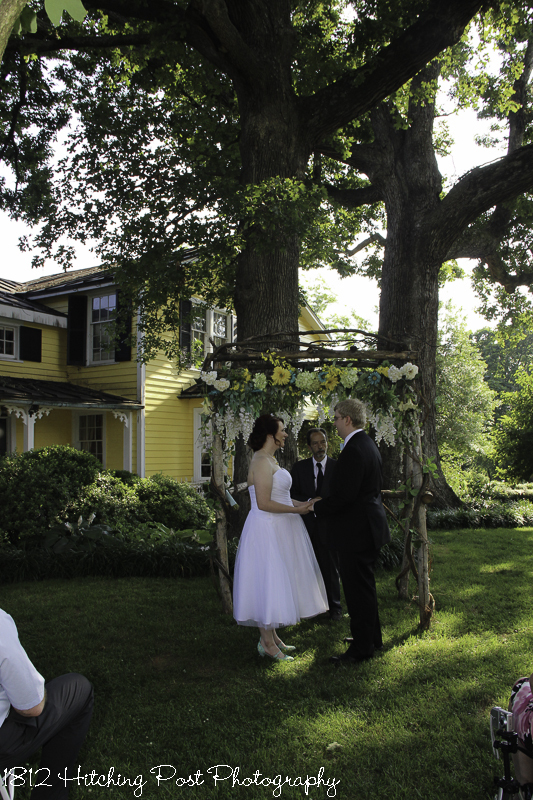 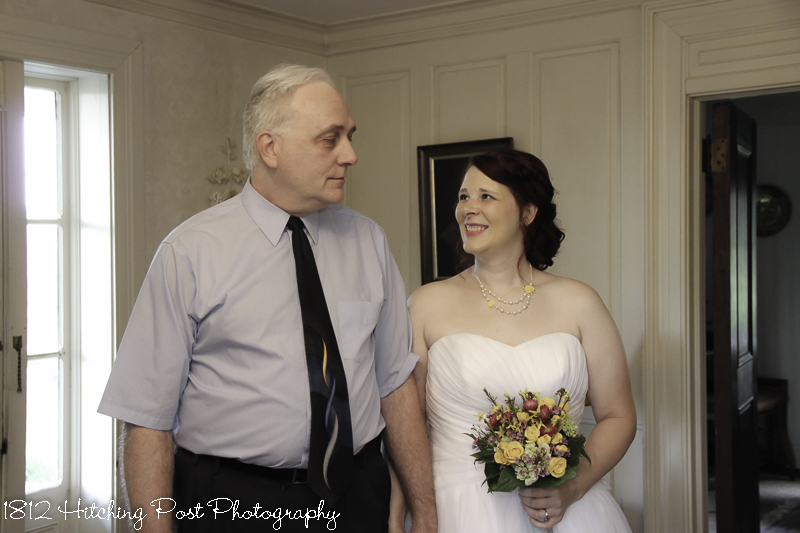 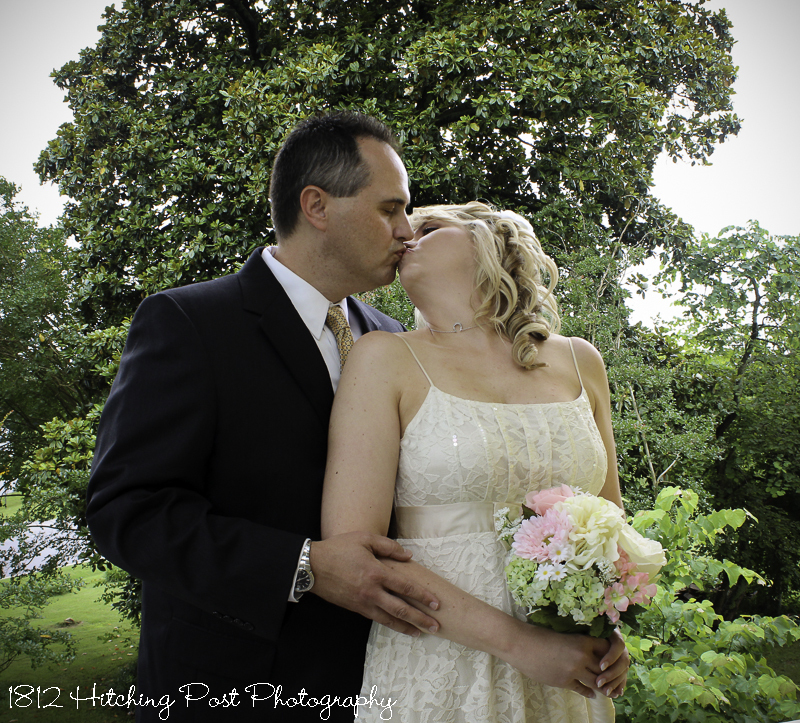 Lisa and Matthew had a lovely Deluxe elopement wedding in June. 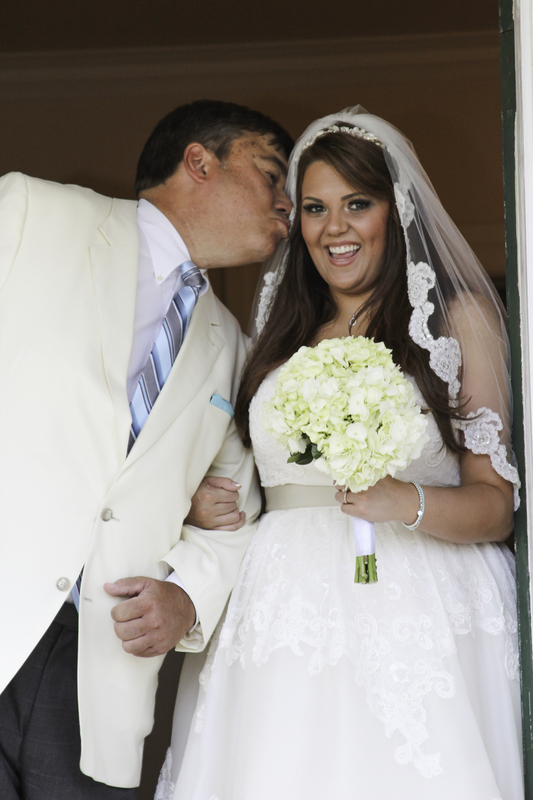 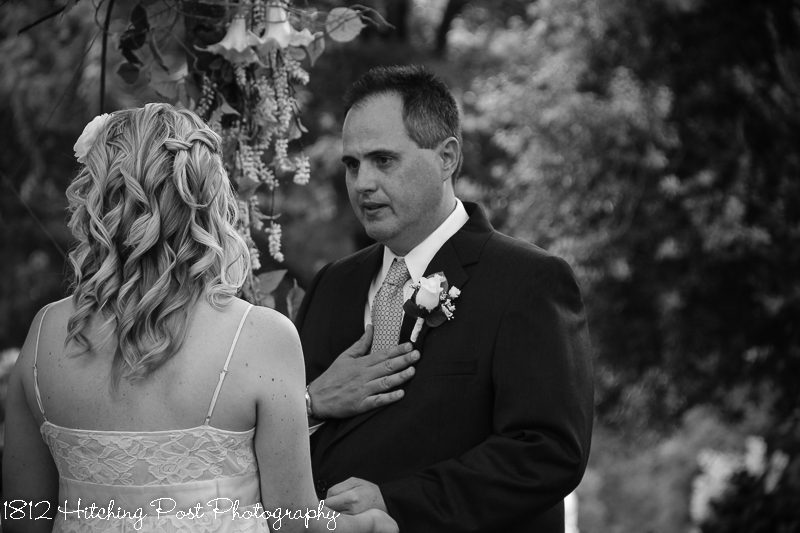 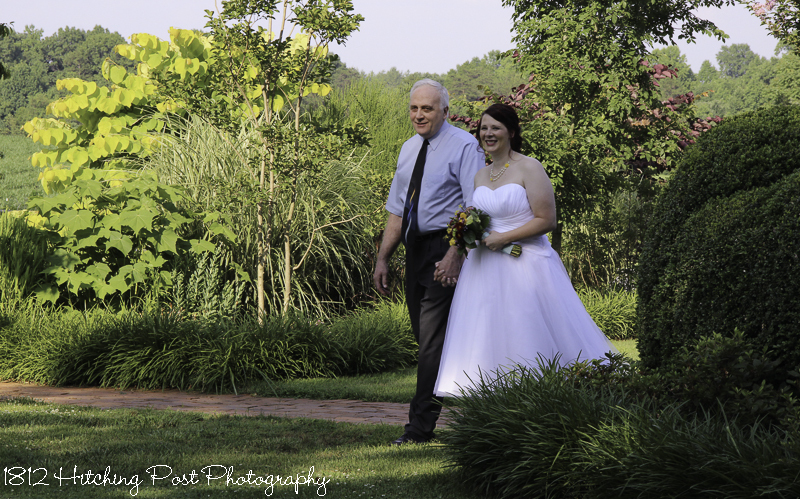 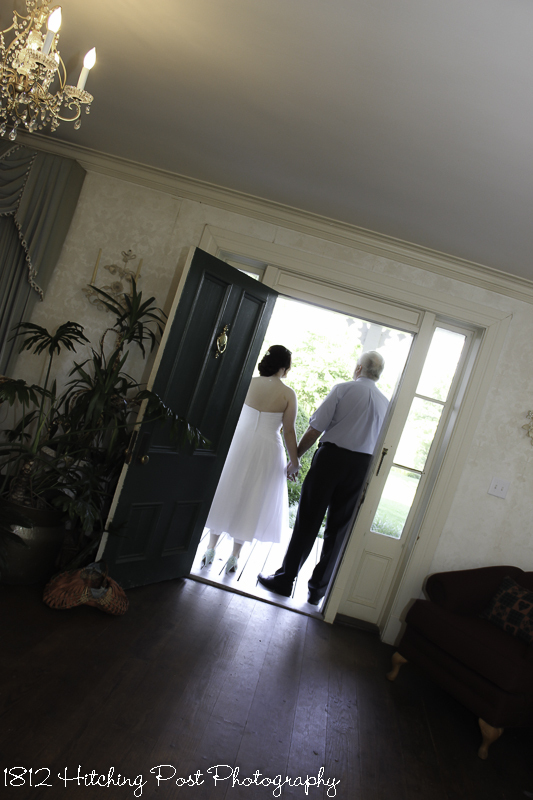 Lisa’s father walked her down the aisle. 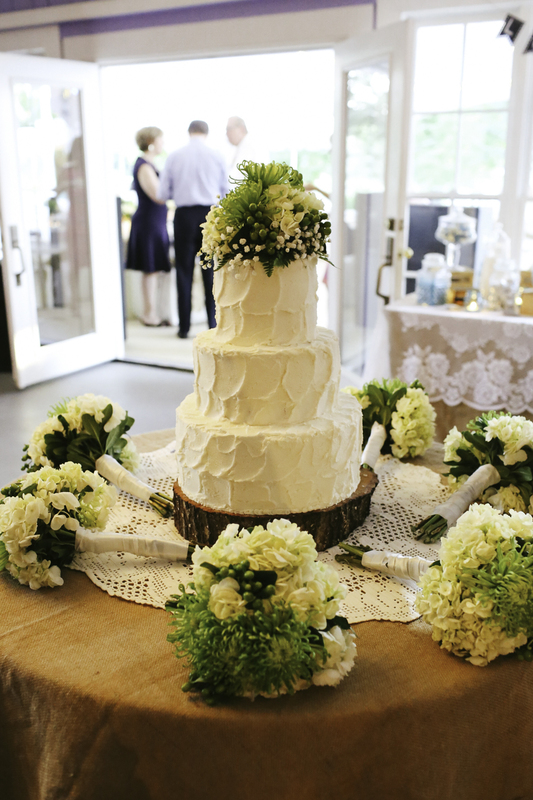 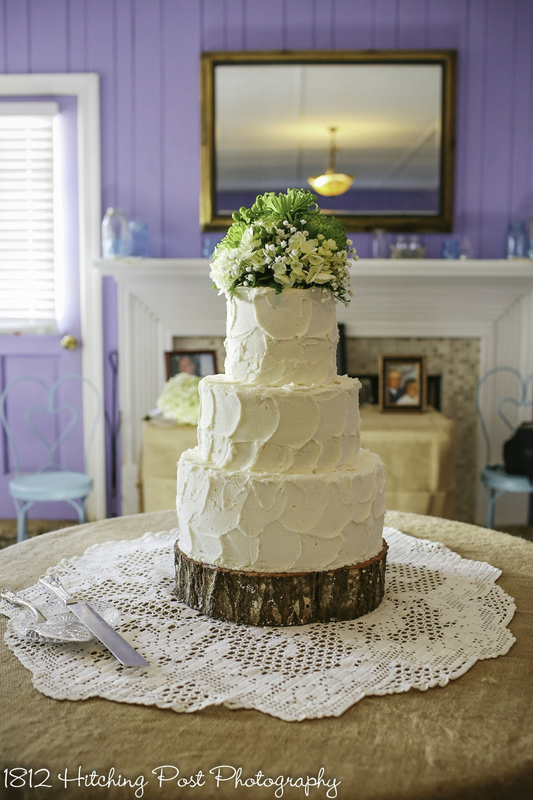 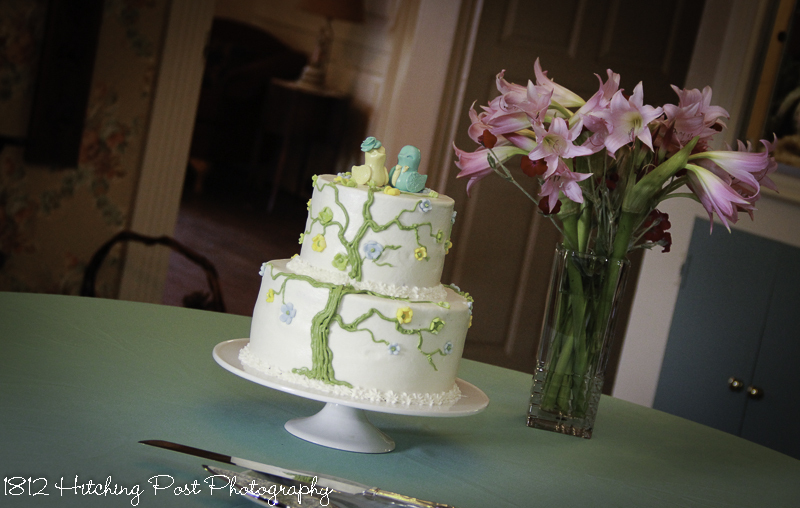 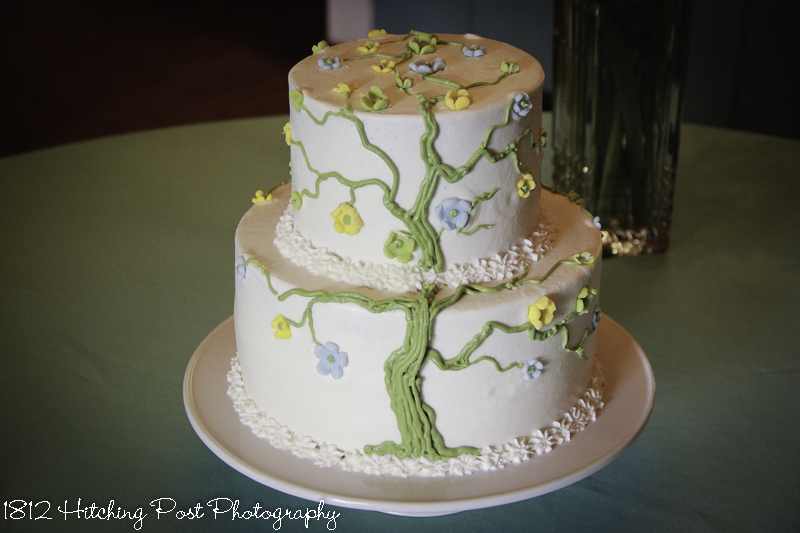 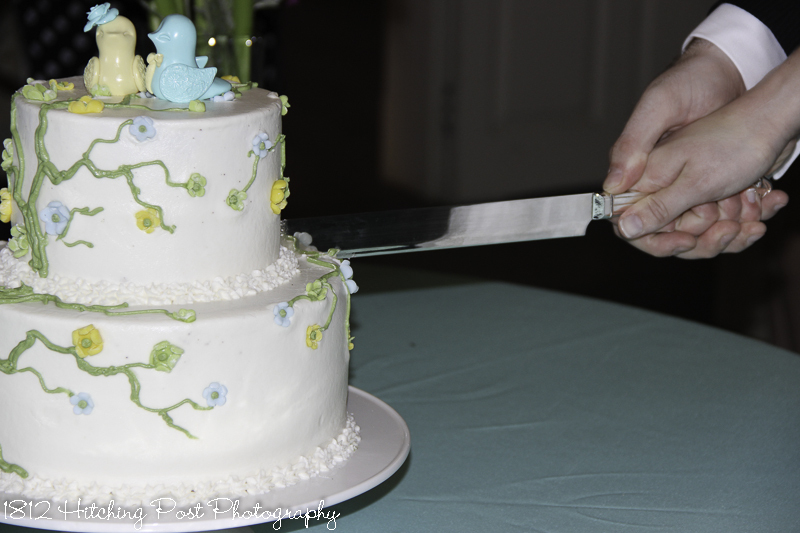 The colors on their “family tree” cake matched their sweet cake topper. 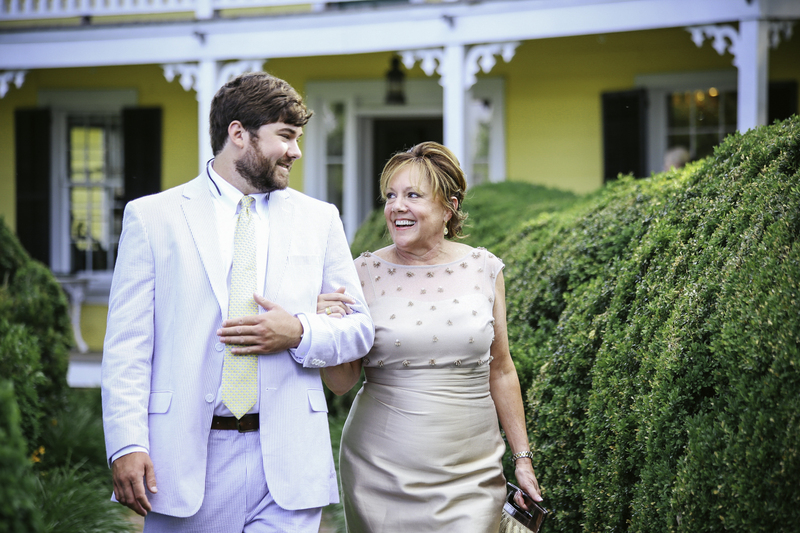 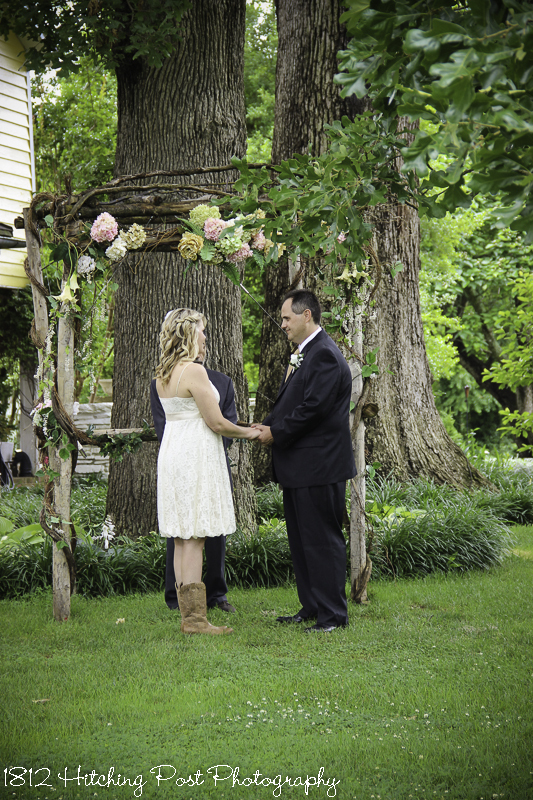 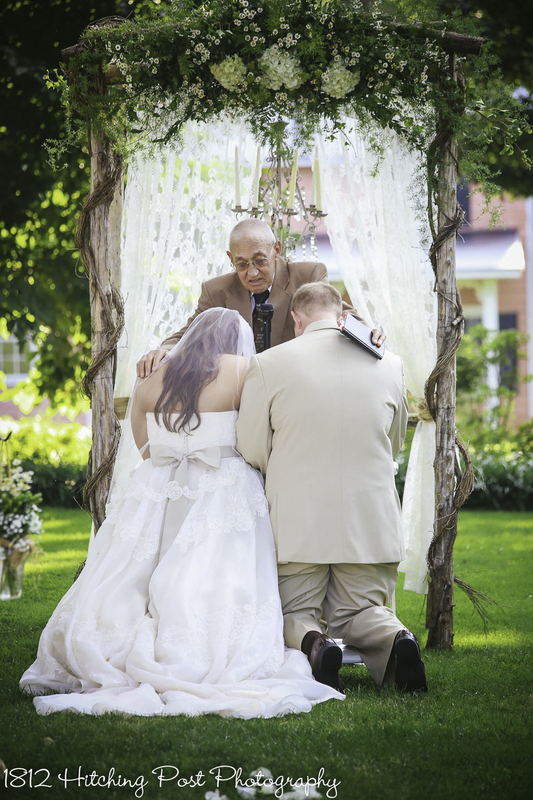 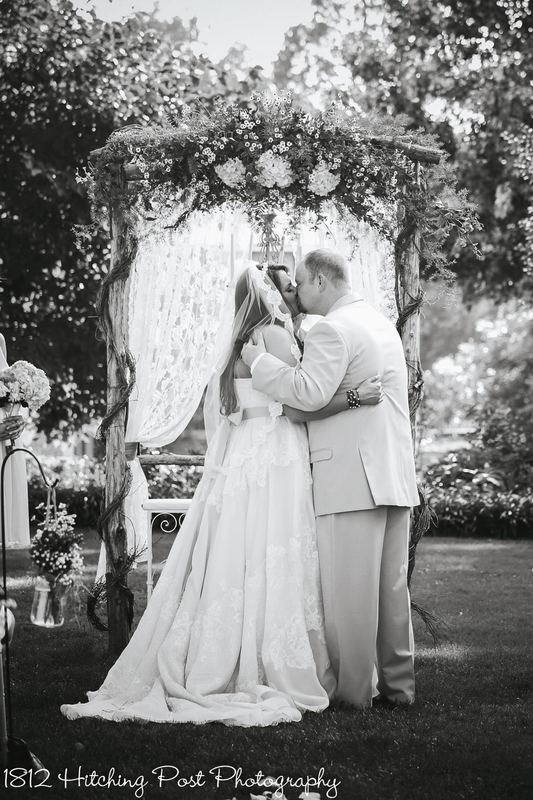 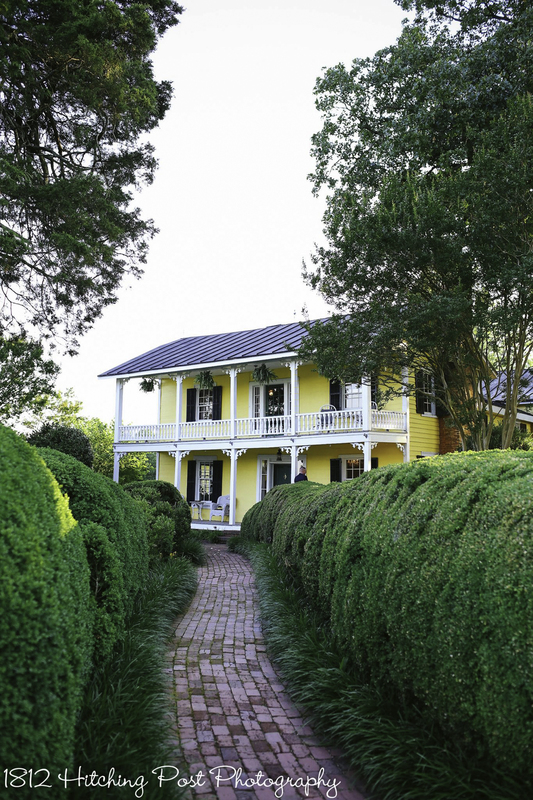 This sweet Deluxe elopement with just the couple was so romantic! 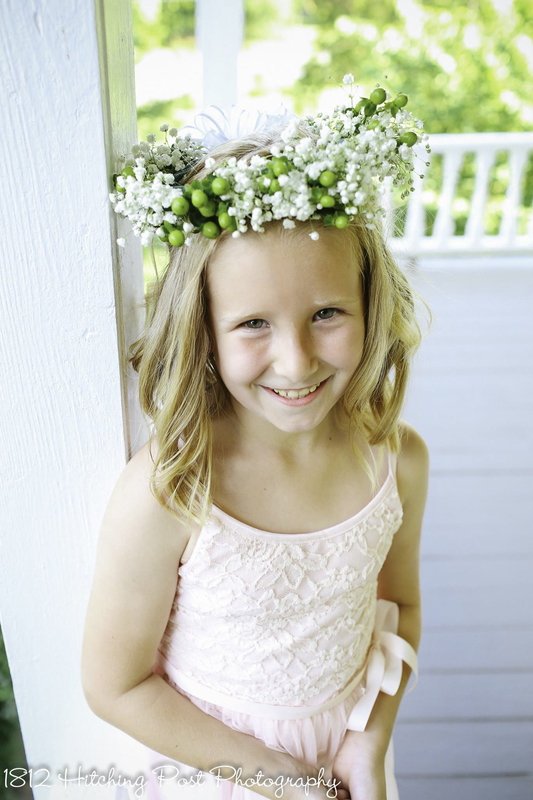 Darcy used spring greens and pink as her colors. 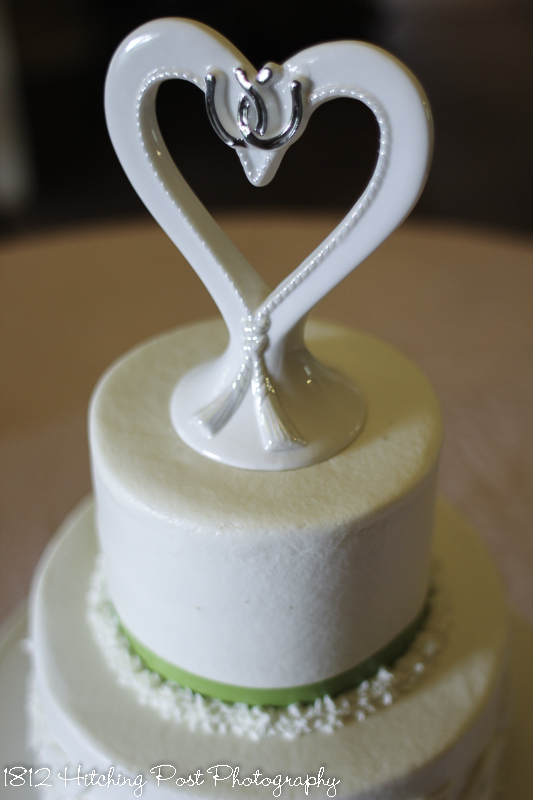 Darcy wore a short dress and boots and their cake had a sweet topper with lucky horseshoes that they left for future couples to borrow and enjoy, if desired. 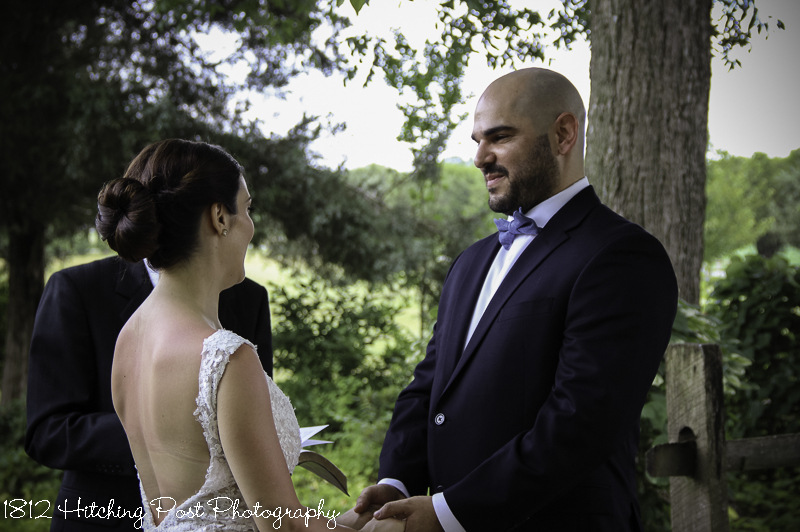 Maria & Nikitas eloped at the 1812 Hitching Post and then had a church wedding with family present in August of the same year. 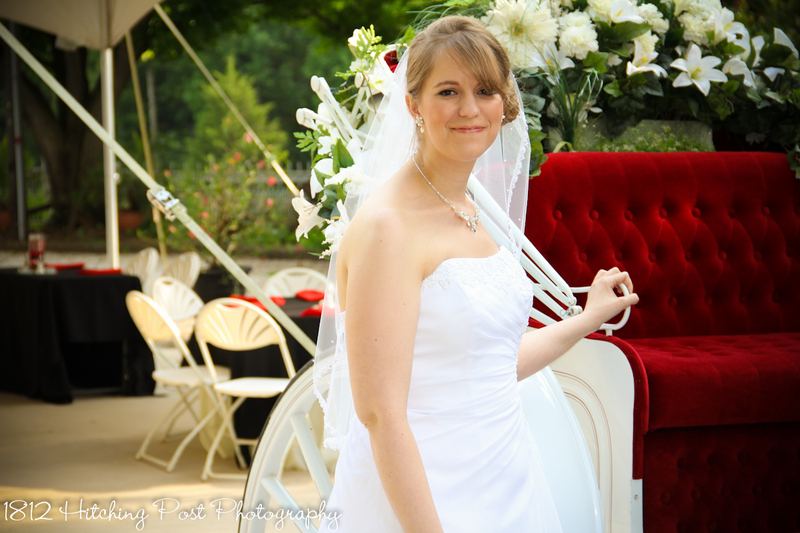 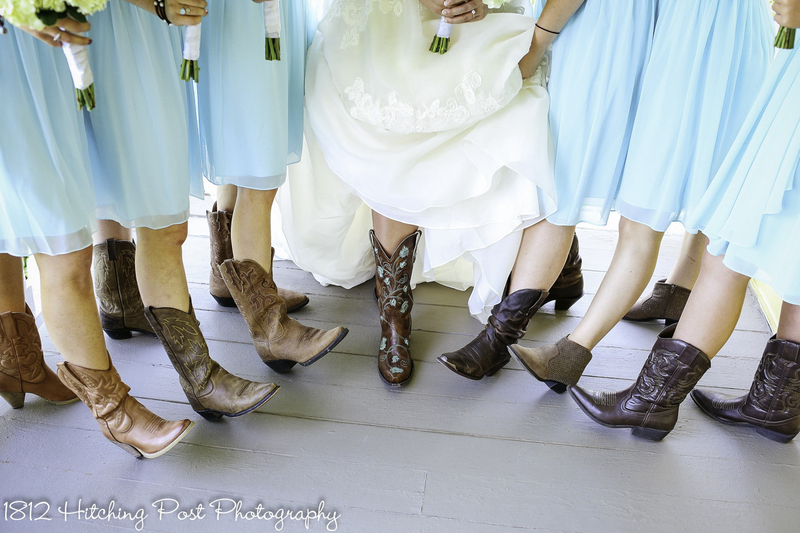 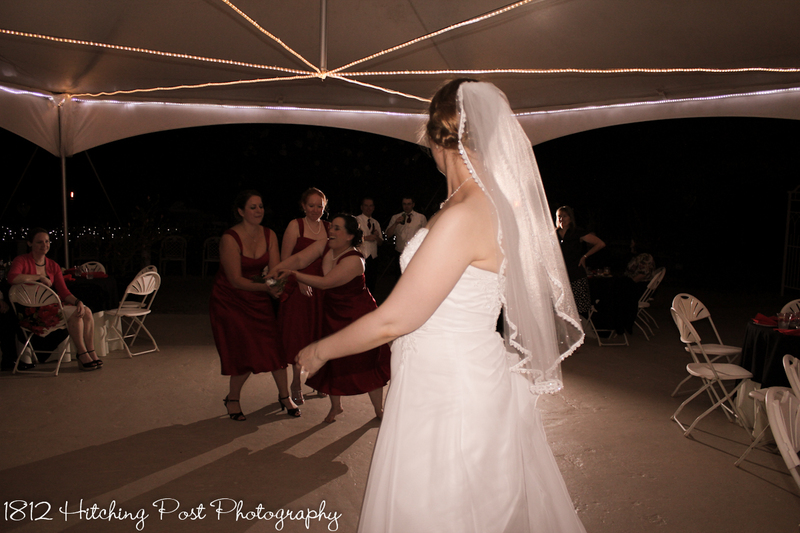 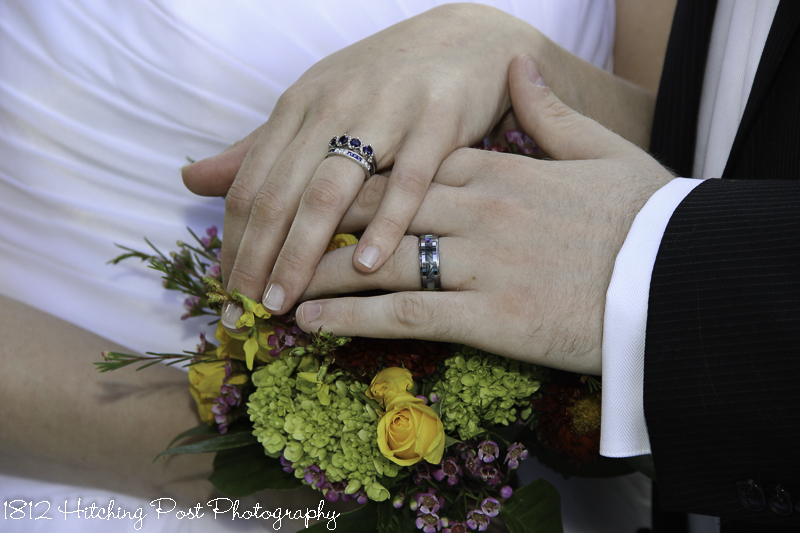 I was fortunate to be able to edit both wedding’s photos! 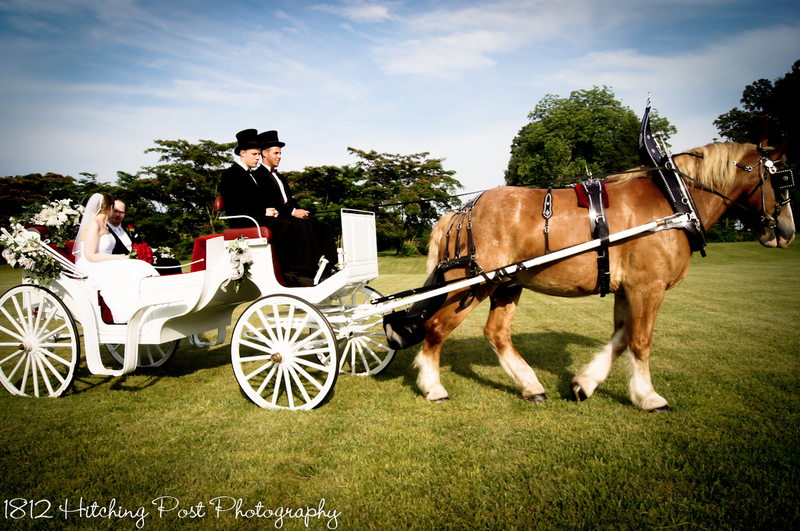 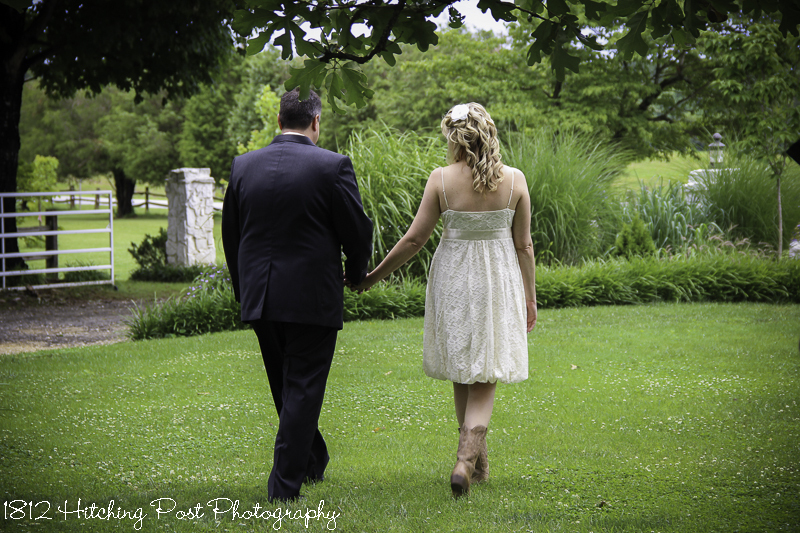 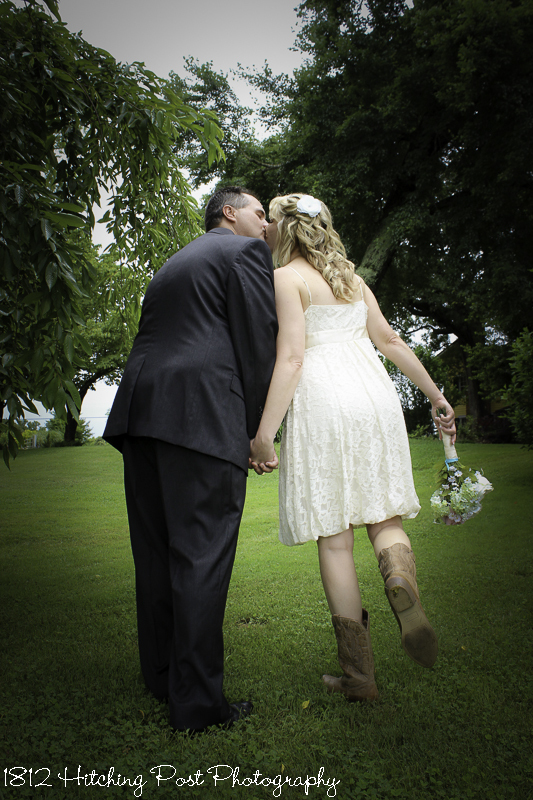 Here are some of my favorites from their 1812 Hitching Post Elopement. 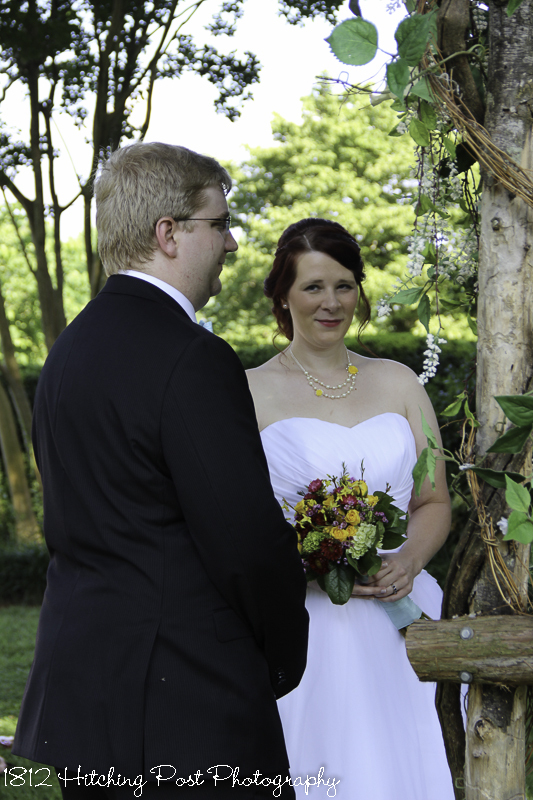 The ceremony site was at the entrance to our shade garden. 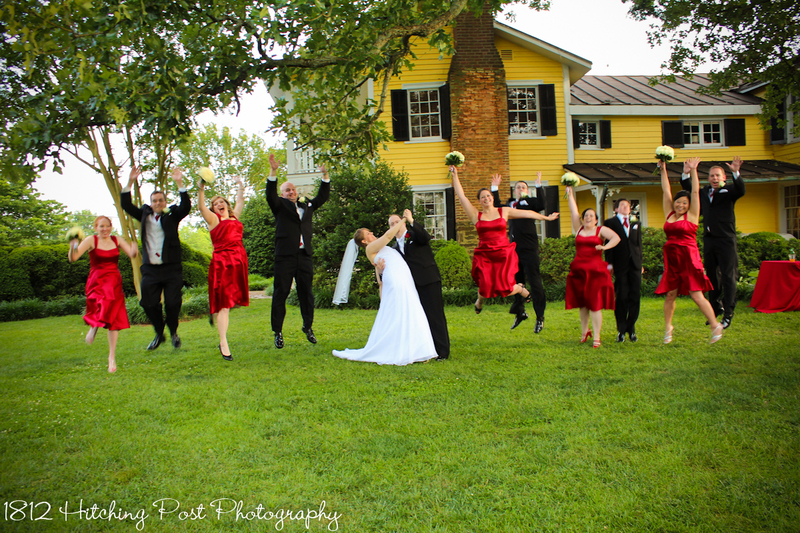 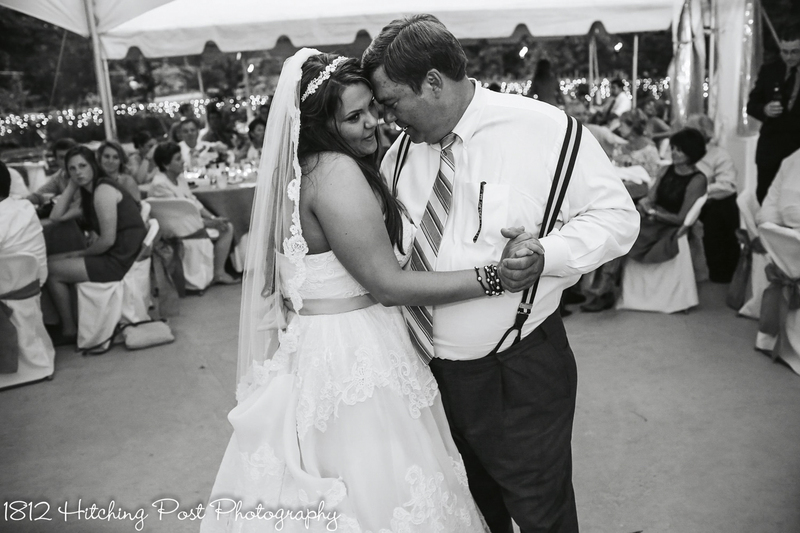 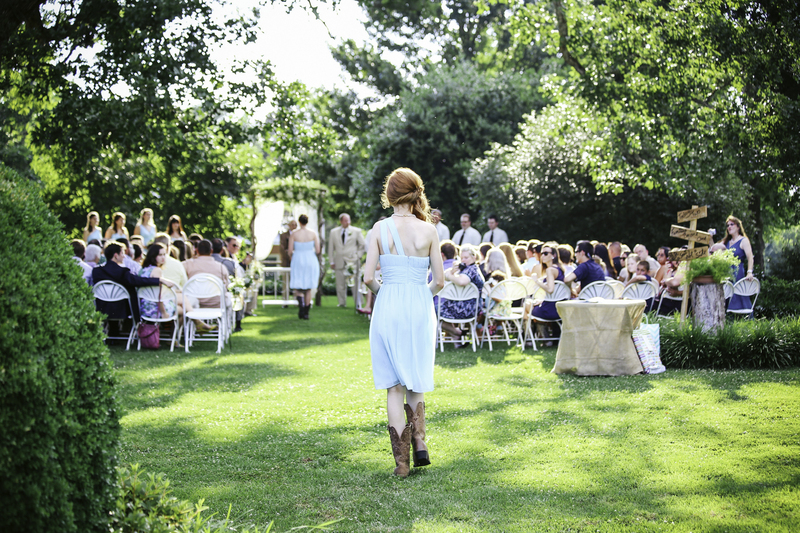 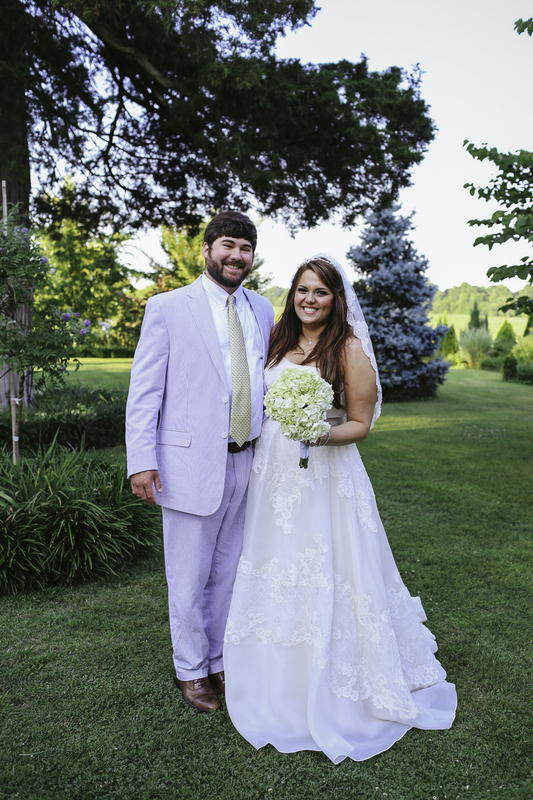 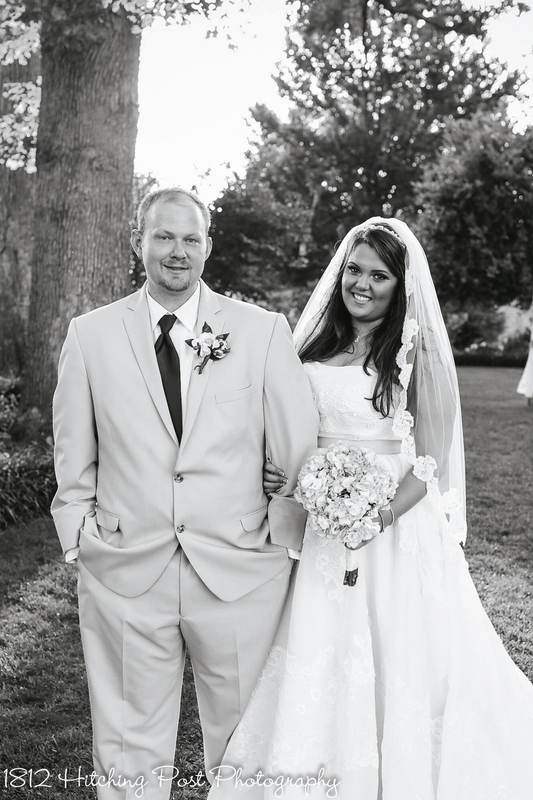 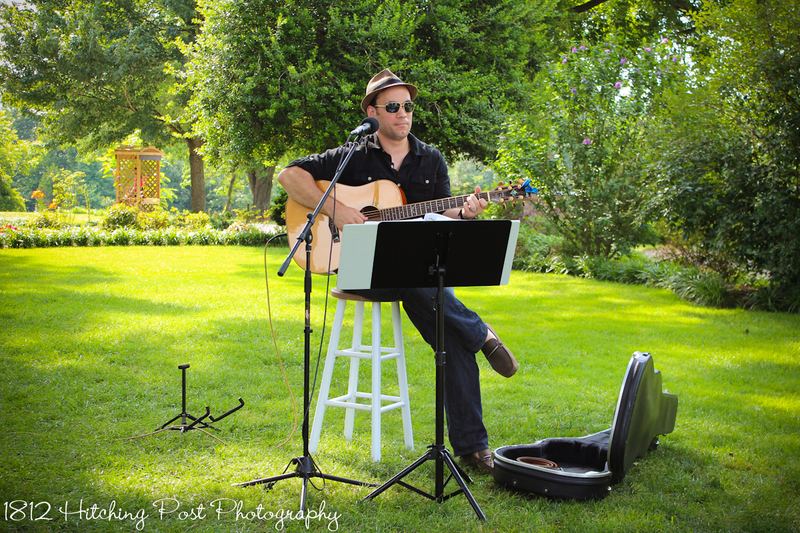 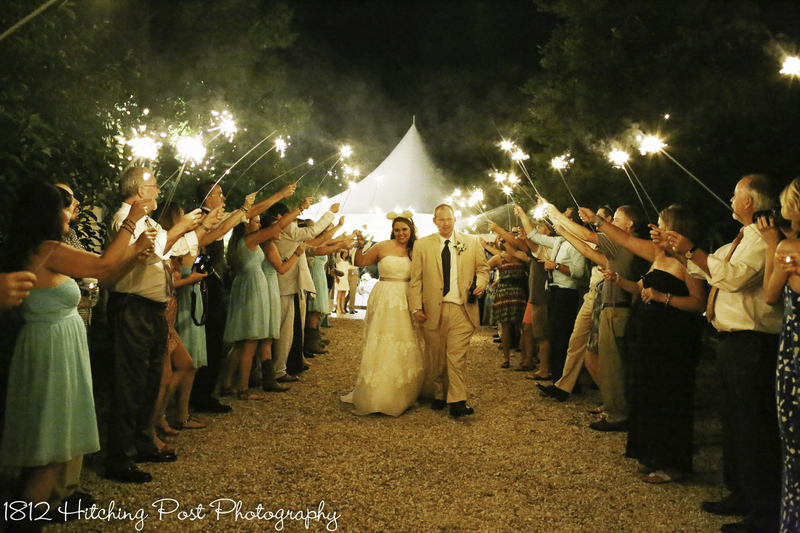 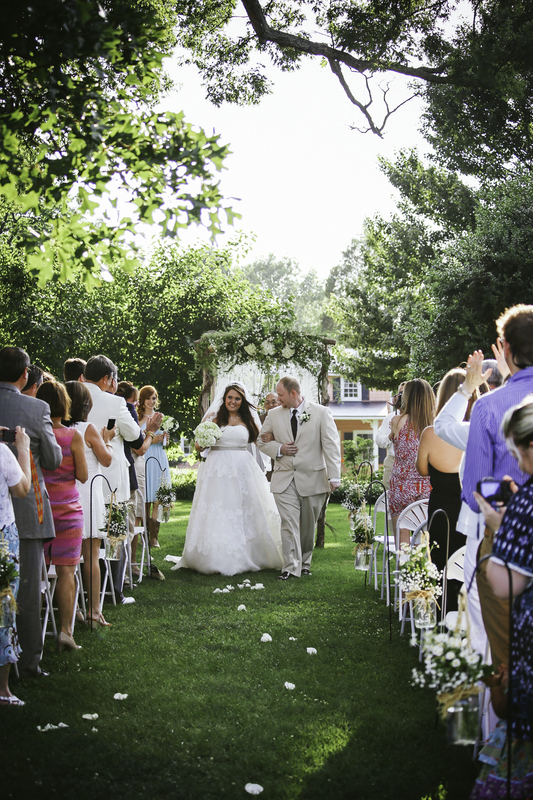 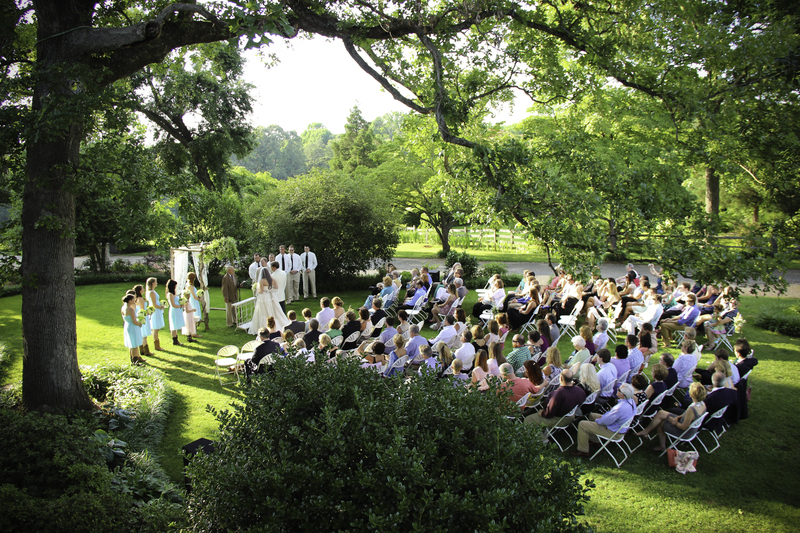 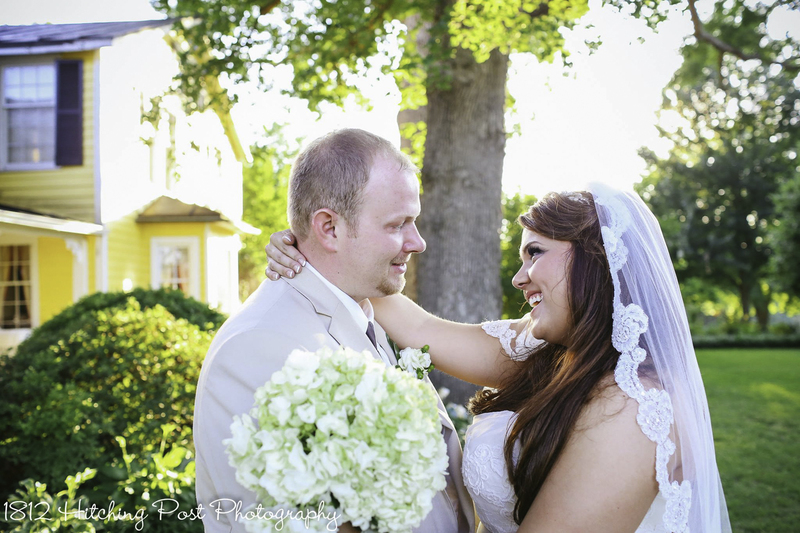 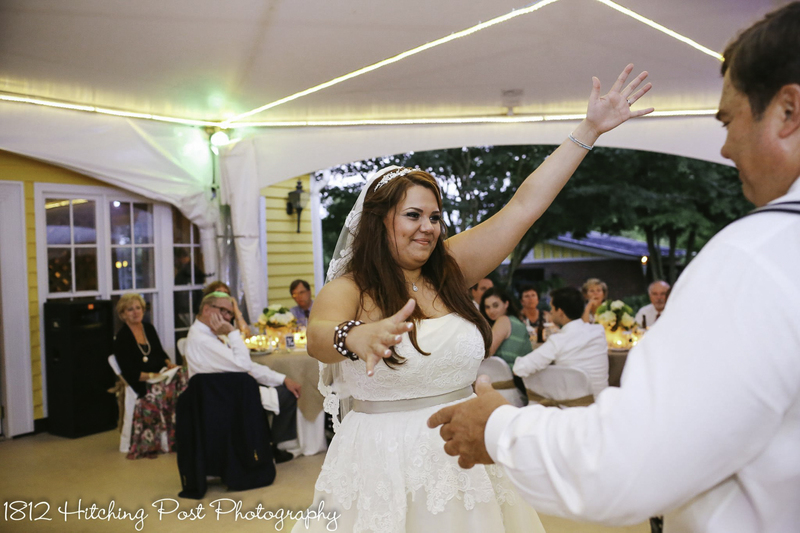 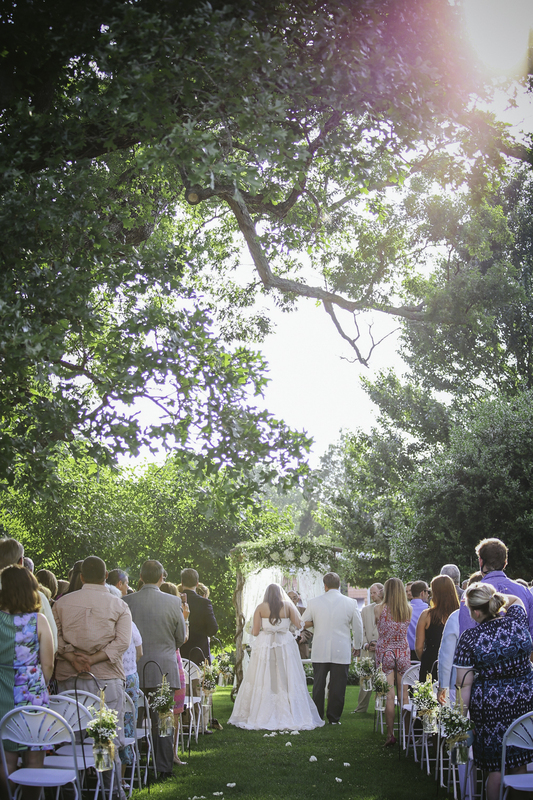 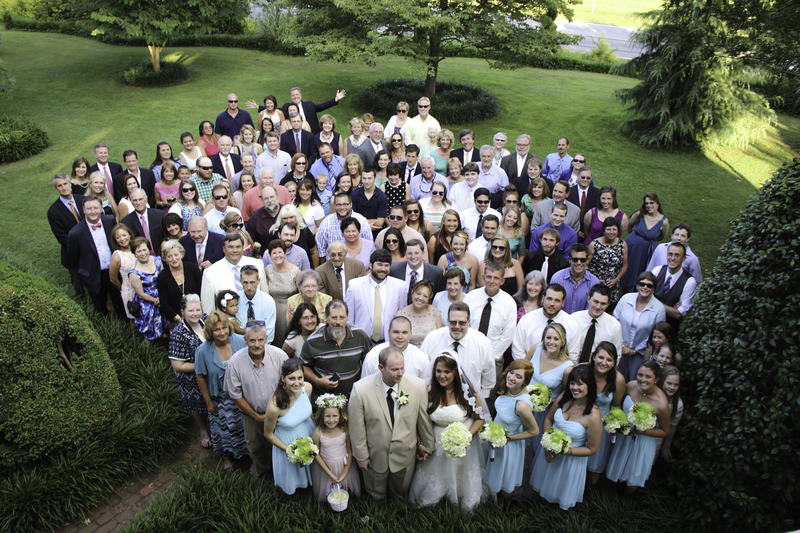 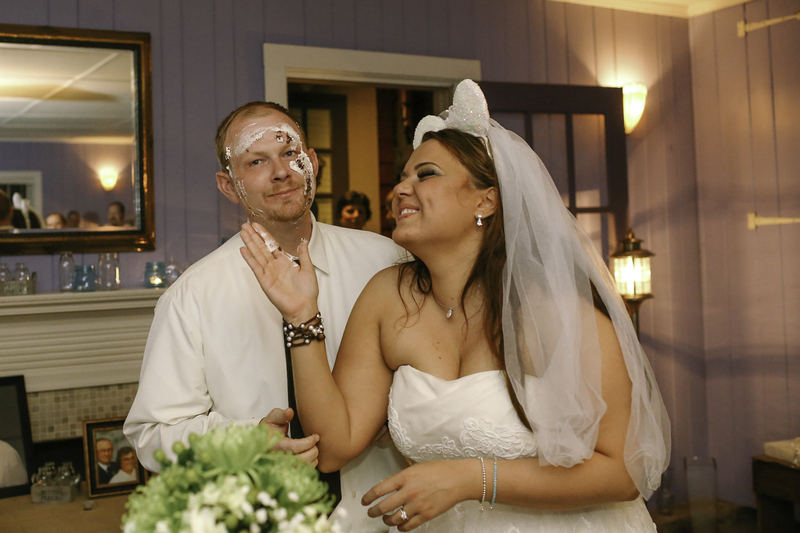 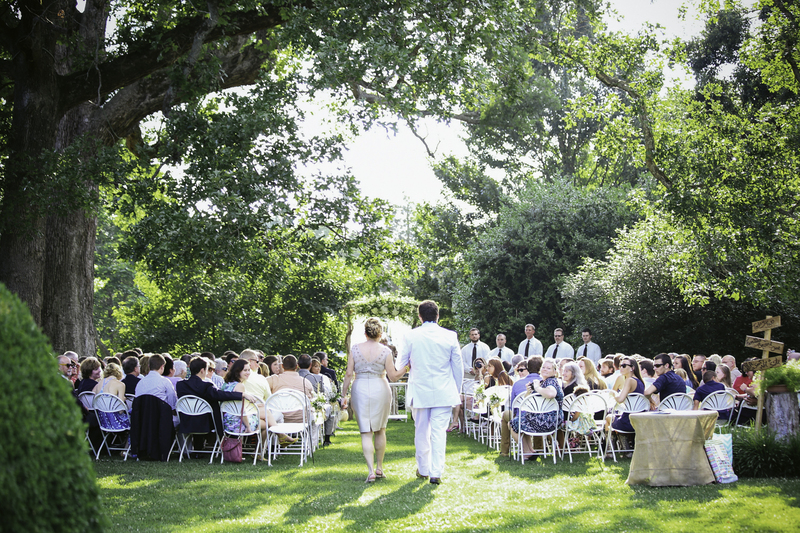 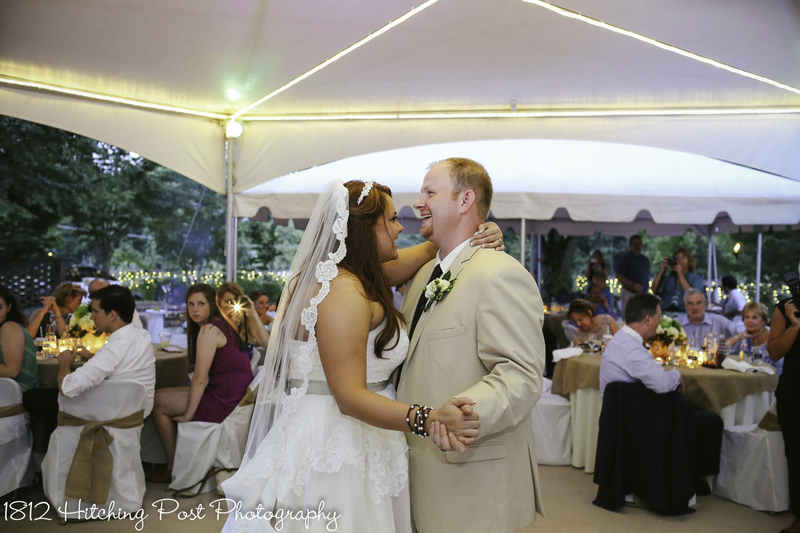 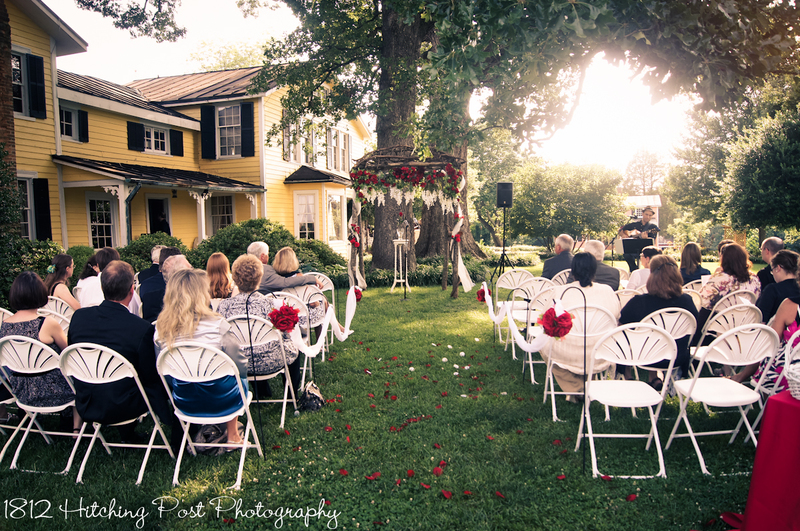 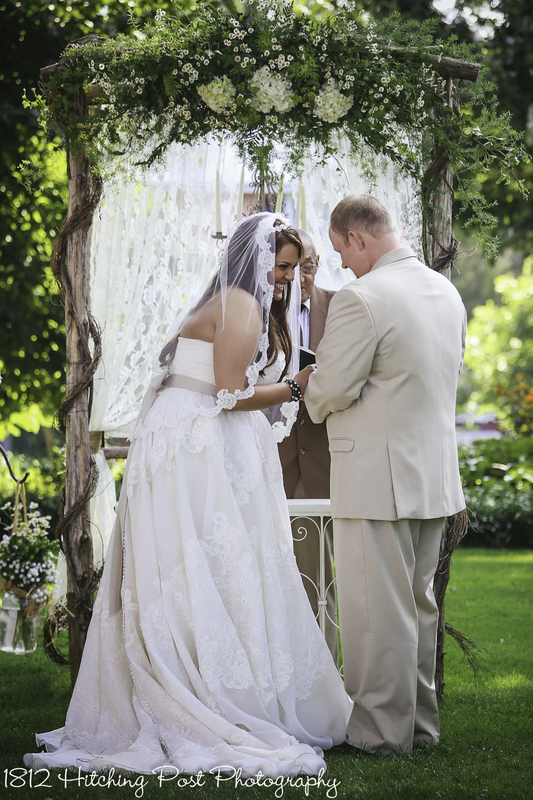 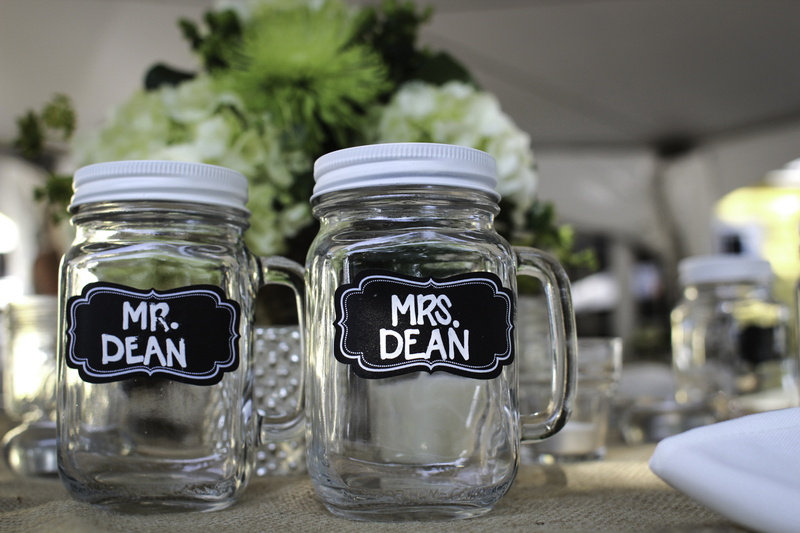 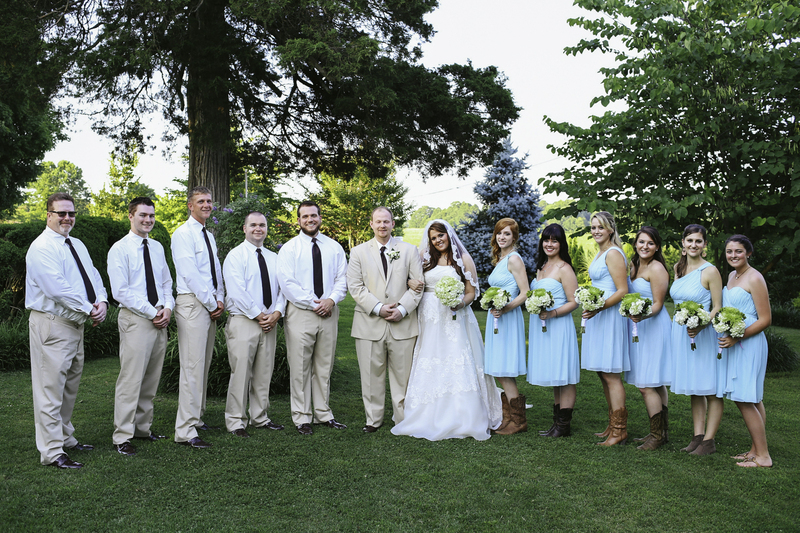 Ally and Dustin had close to 150 guests at their June 14th wedding. 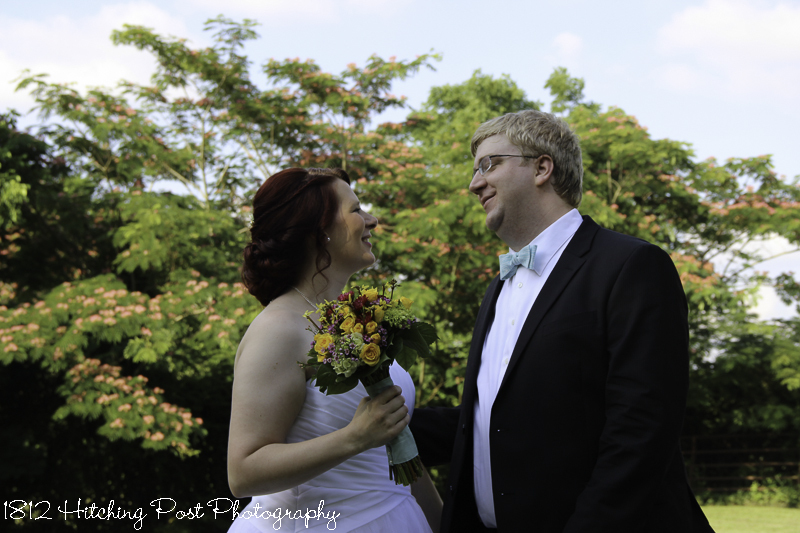 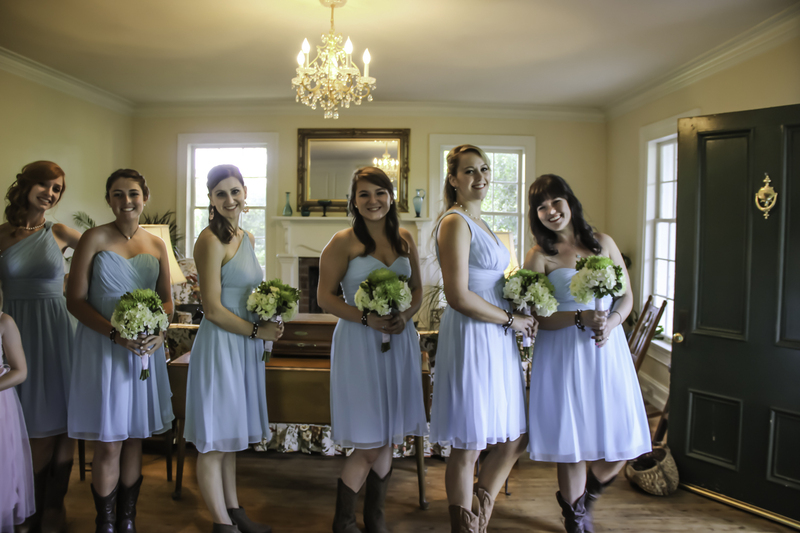 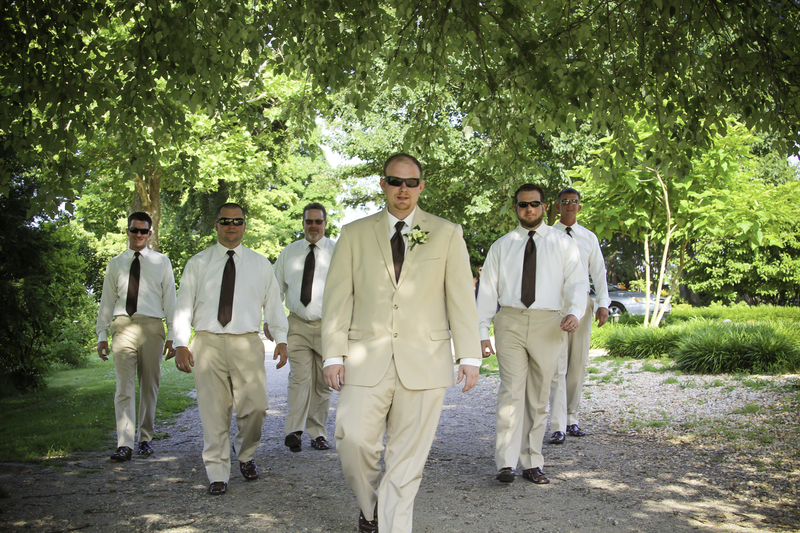 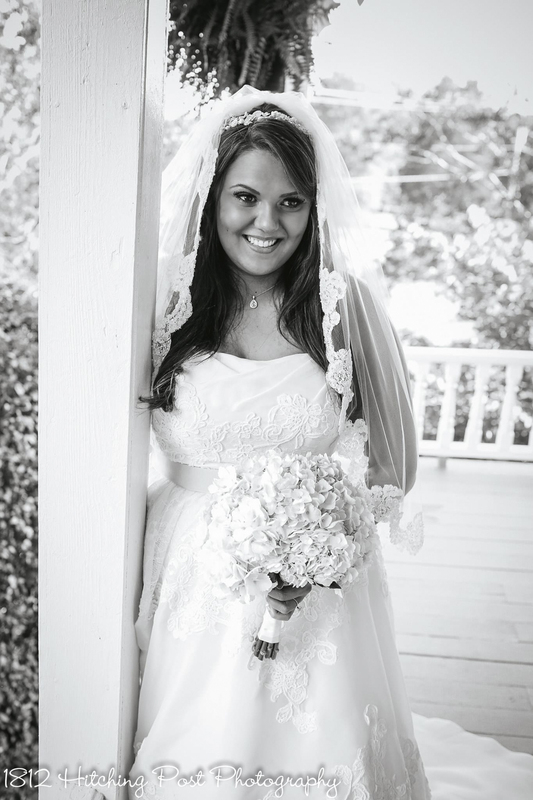 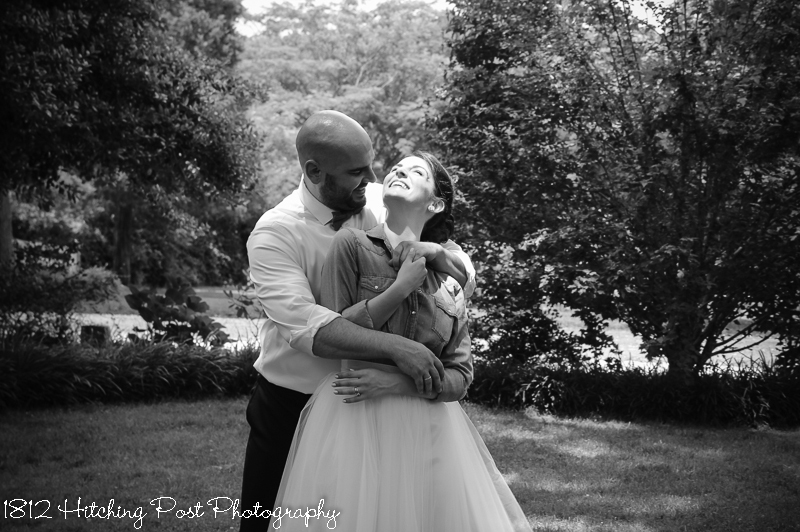 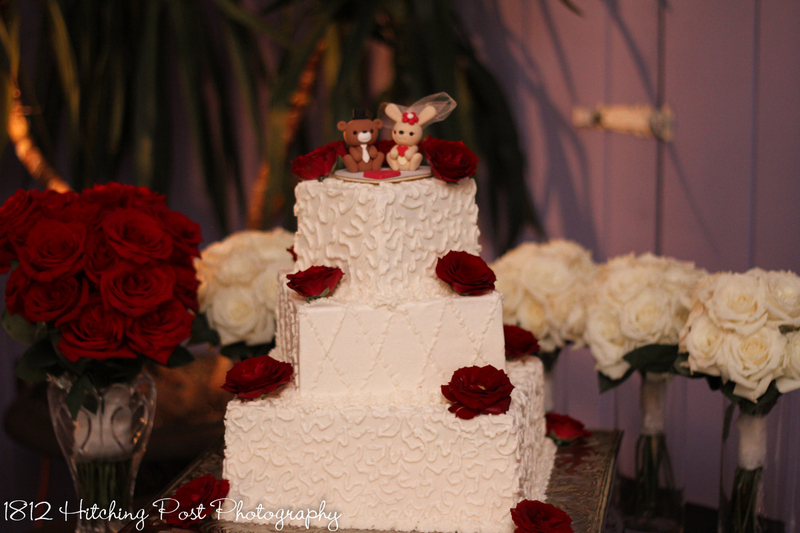 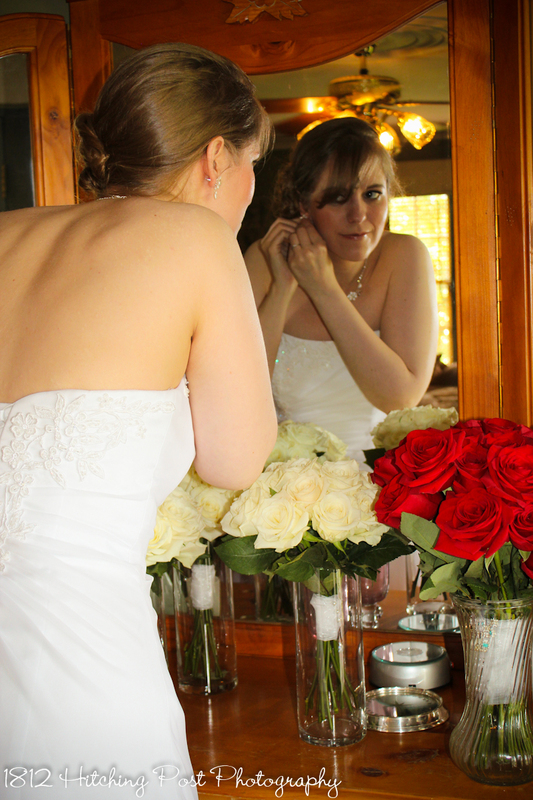 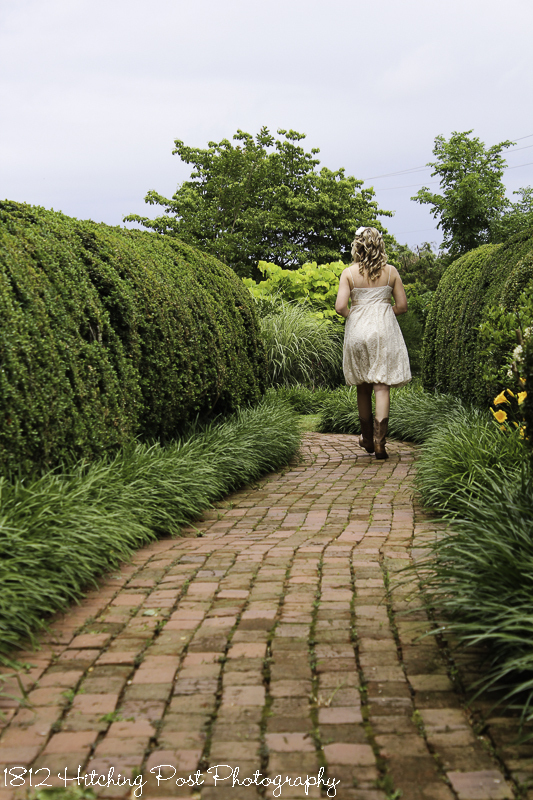 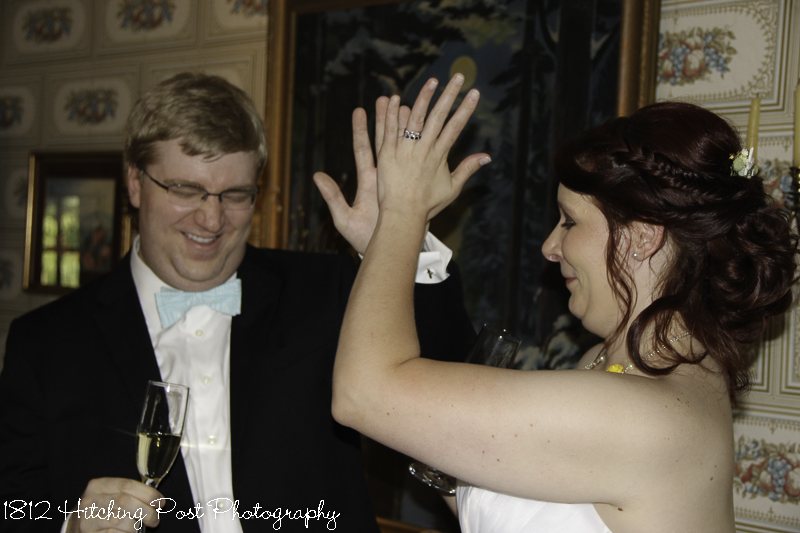 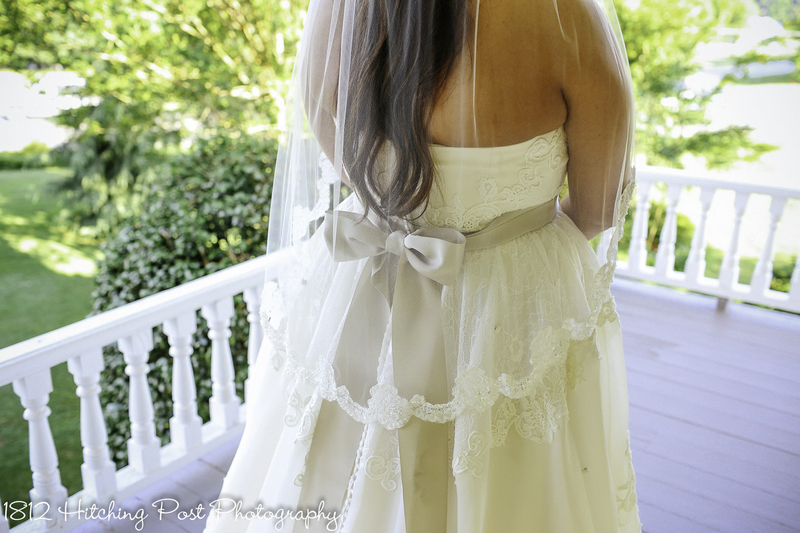 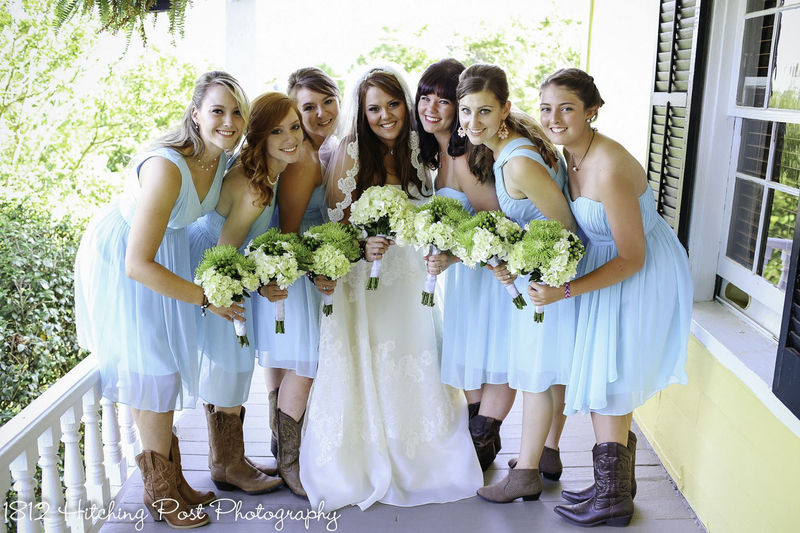 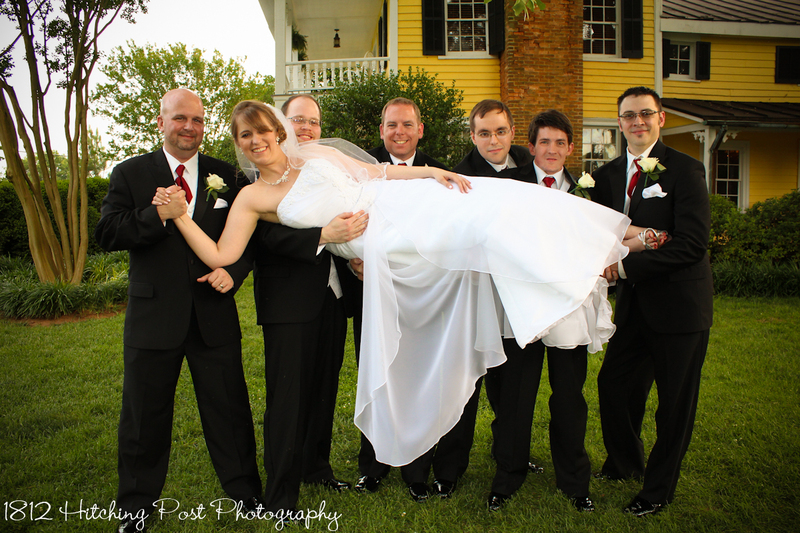 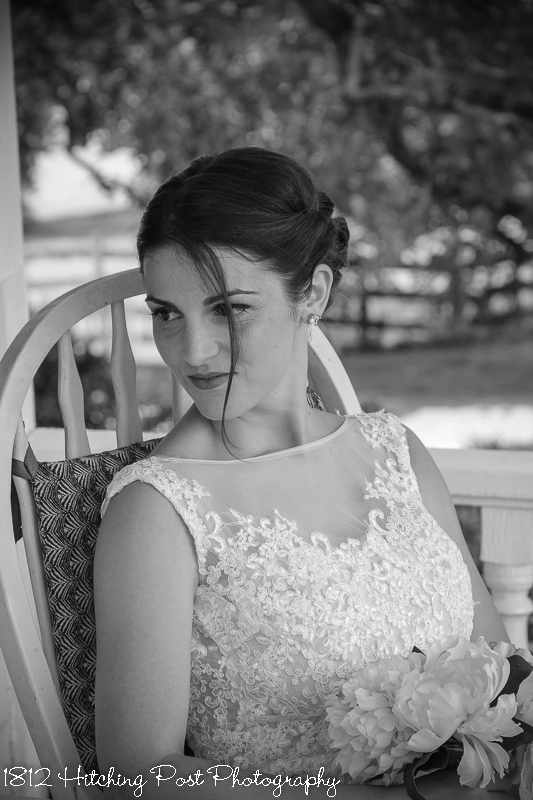 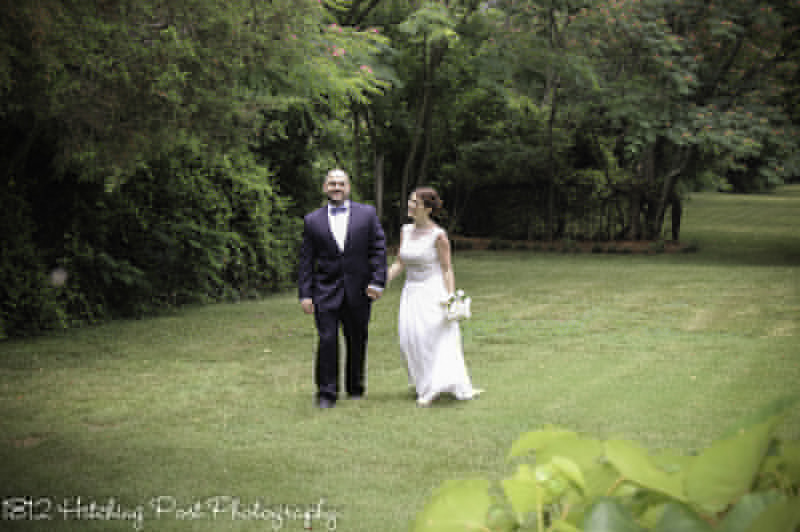 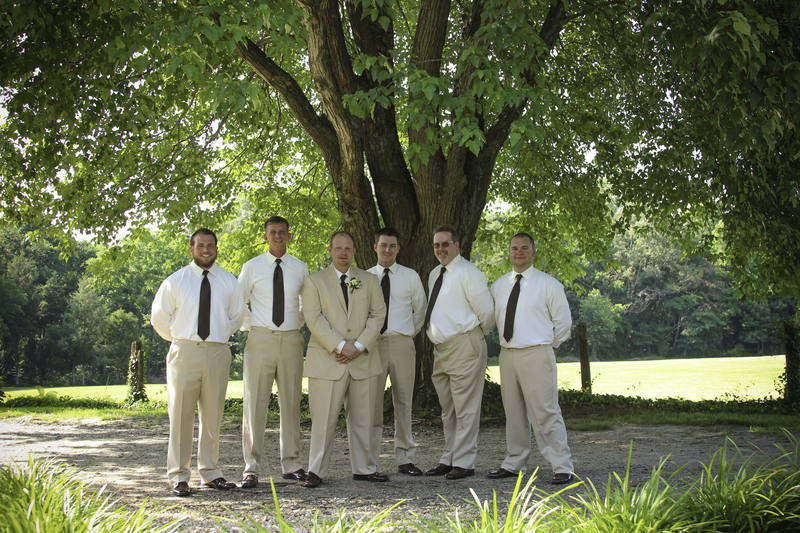 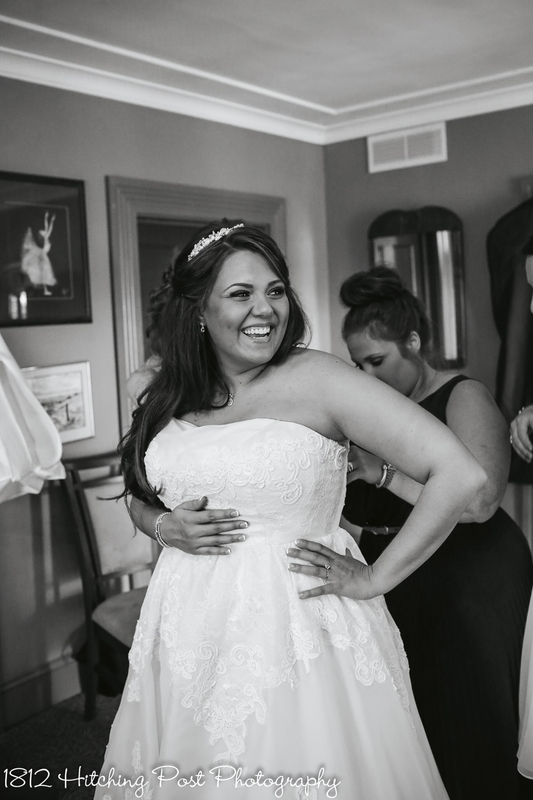 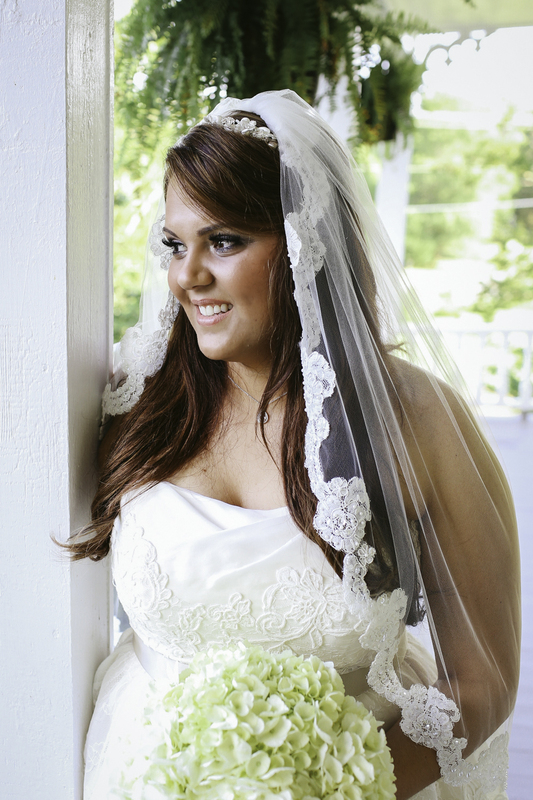 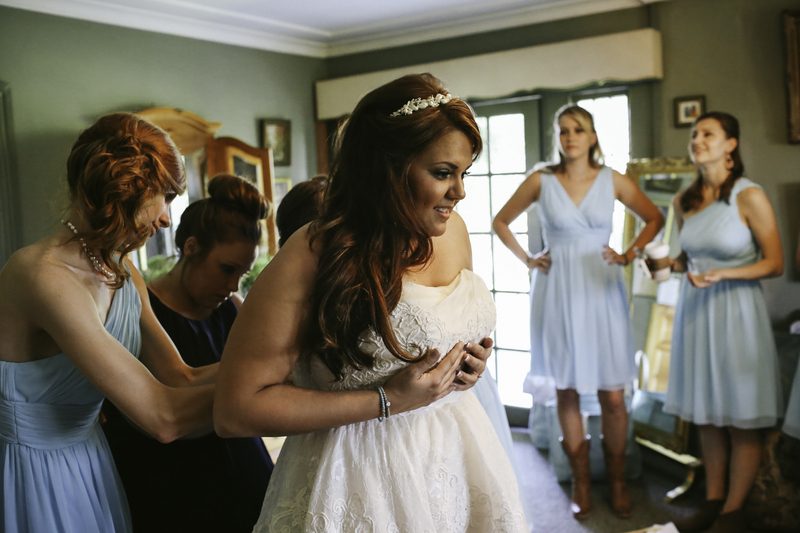 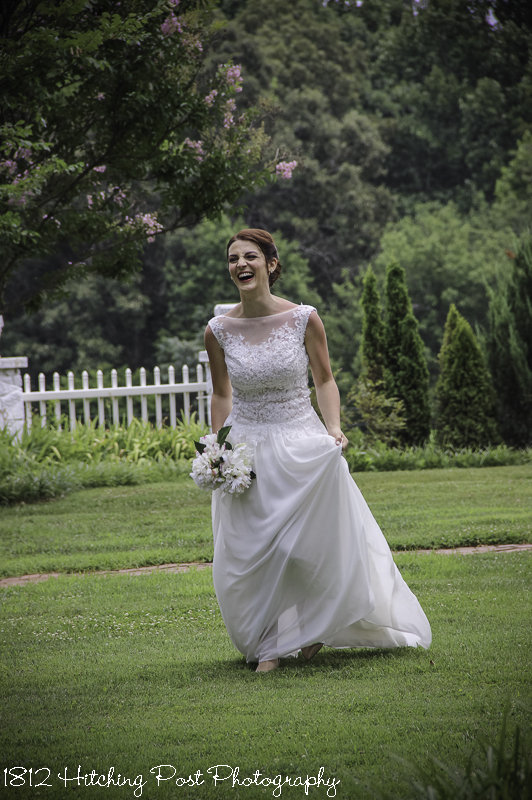 Their wedding was so beautiful that I had trouble narrowing down the photos! 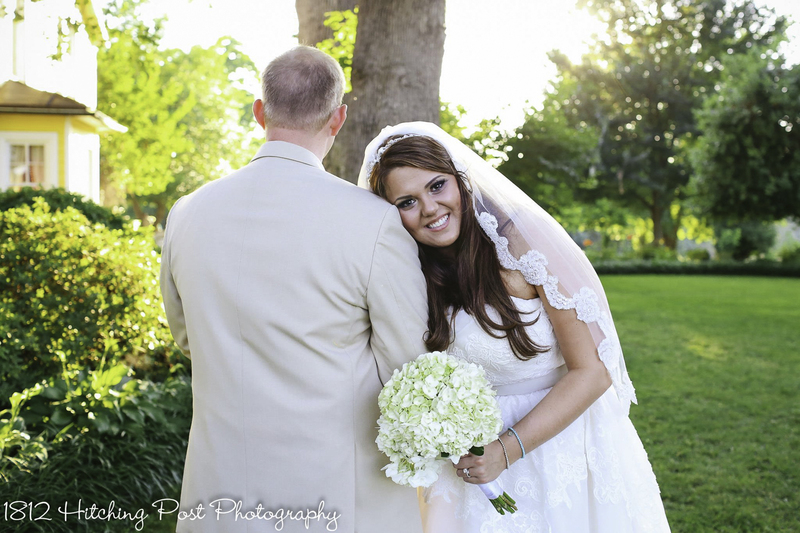 Ally’s flowers were provided by Cline’s Florist. 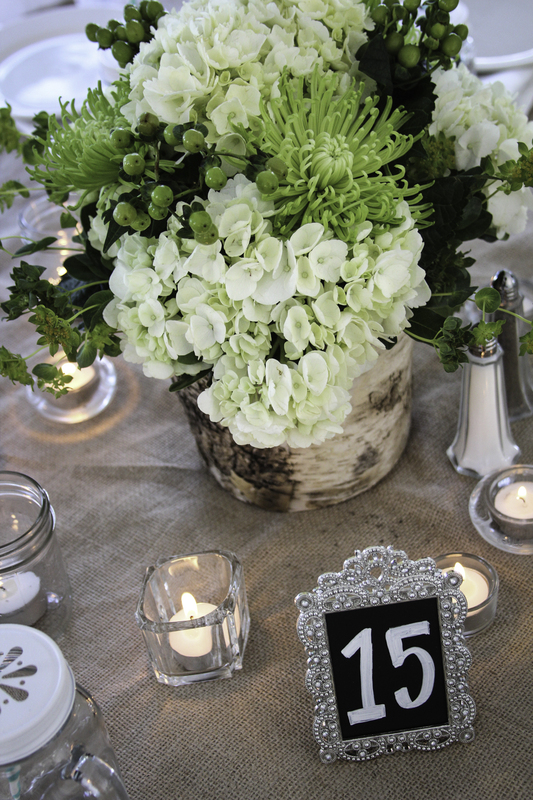 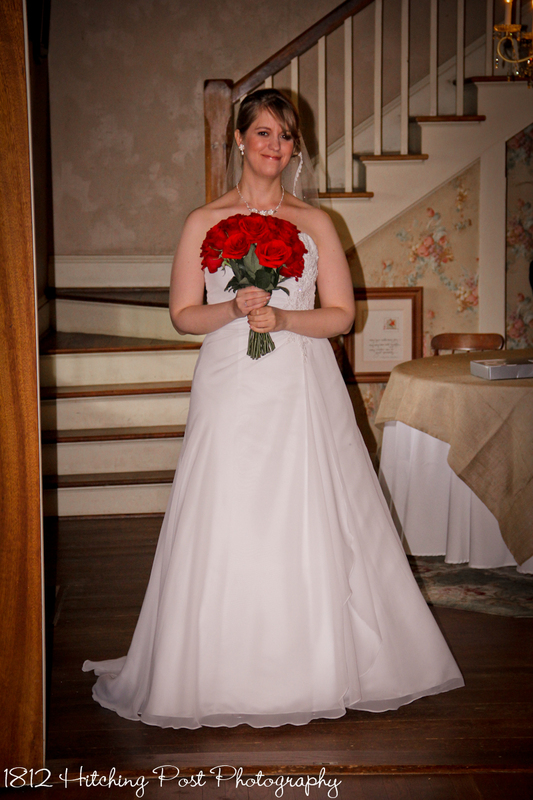 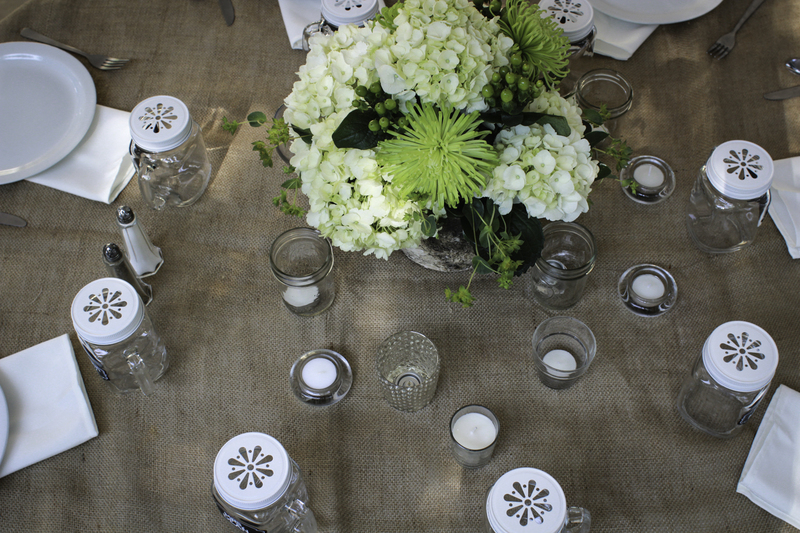 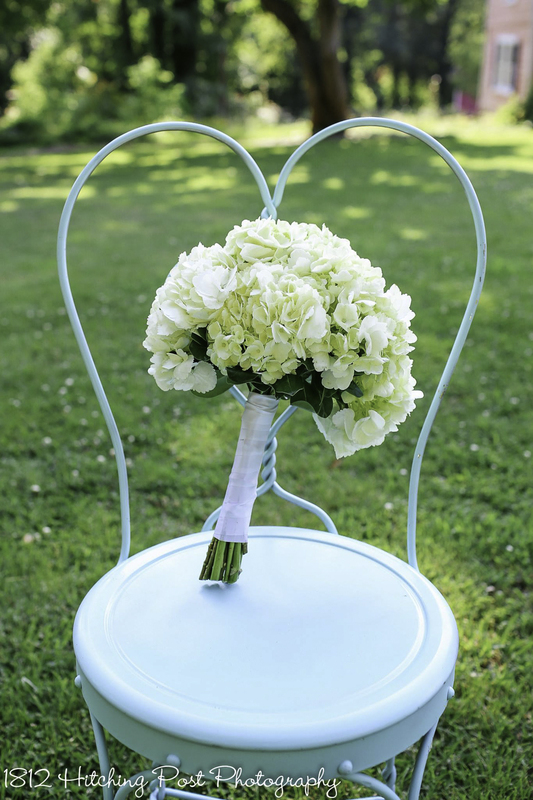 They had beautiful white hydrangeas as bouquets and centerpieces. 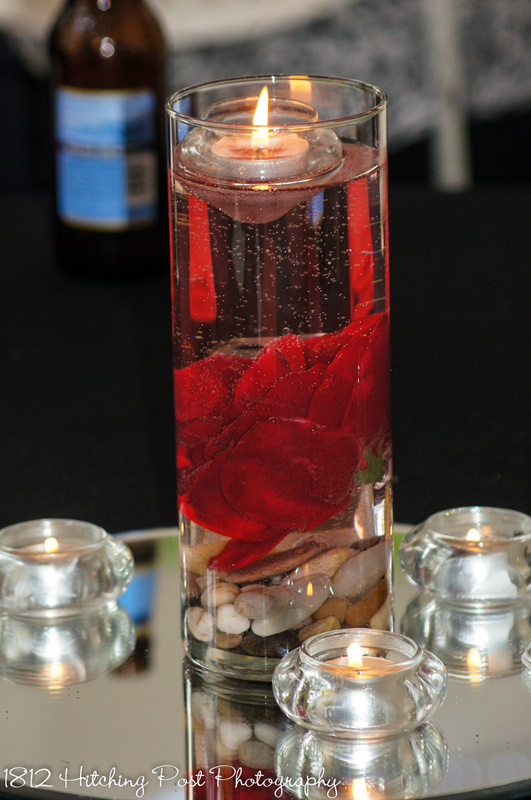 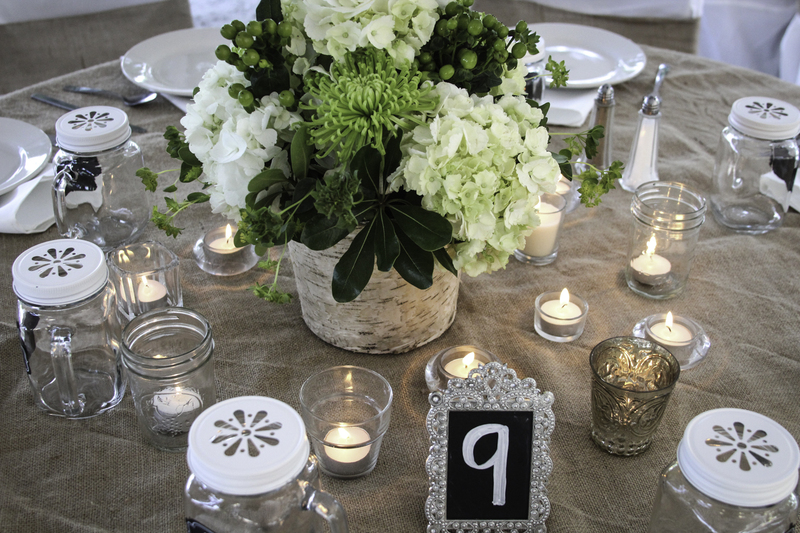 We had LOTS of candles; 12 votives and tea lights on each table. 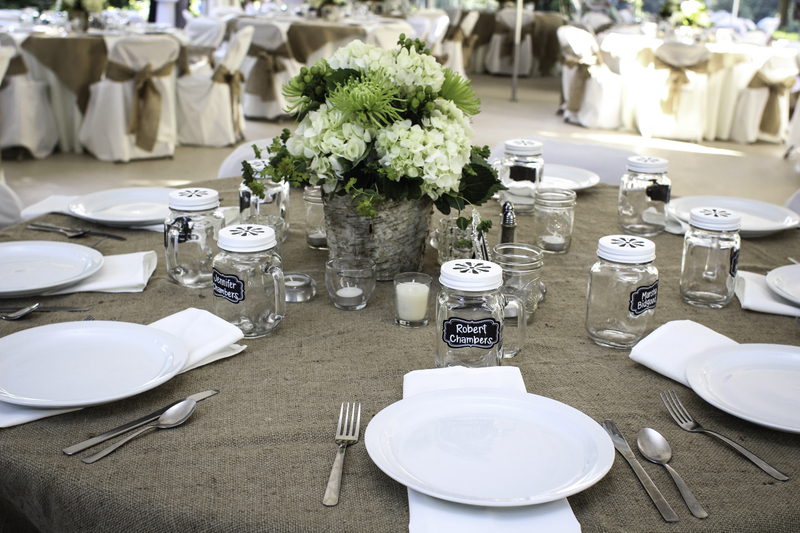 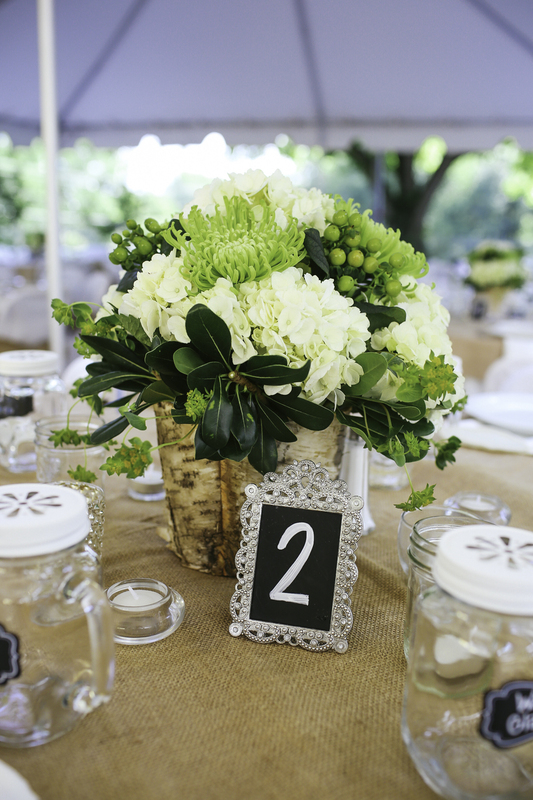 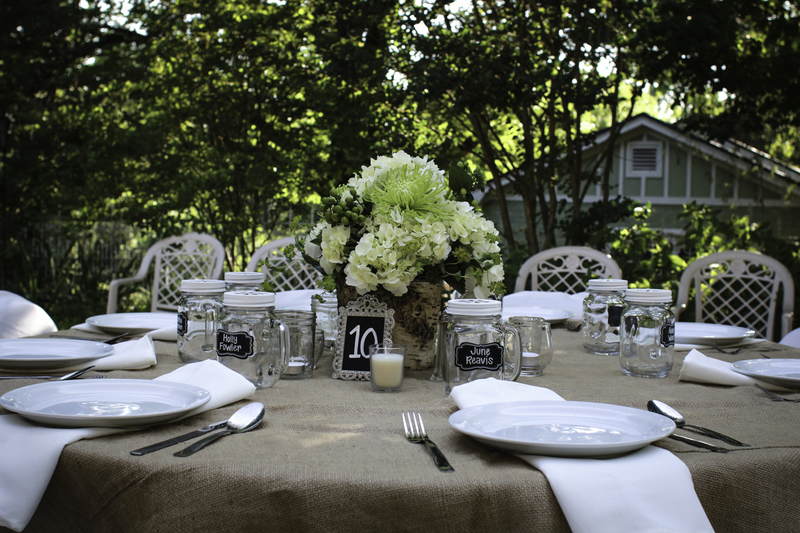 The natural theme included burlap overlays and sashes as well as birch containers for the centerpiece flowers. 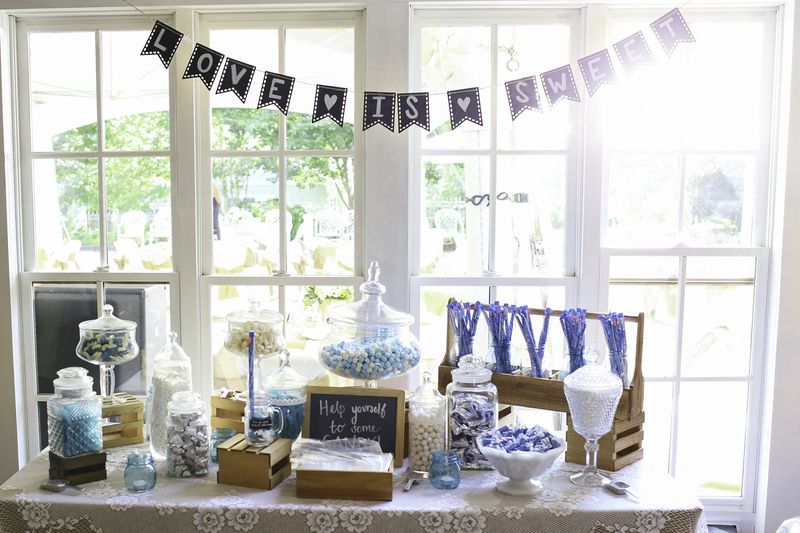 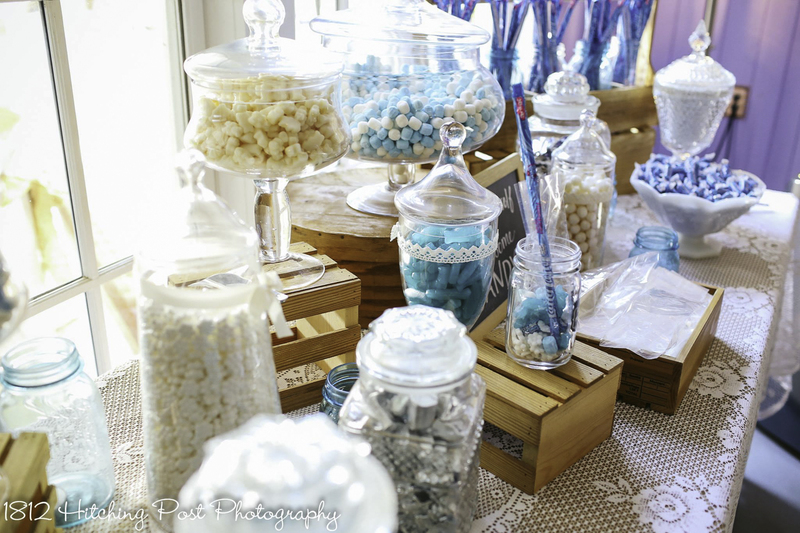 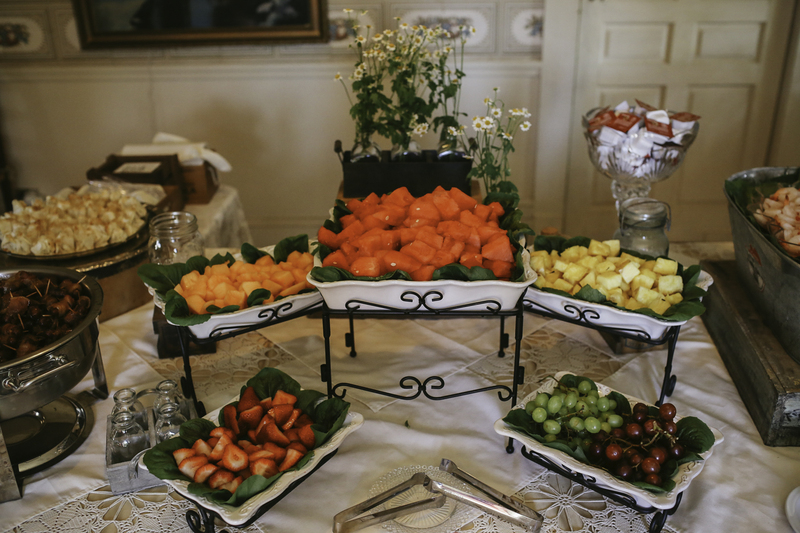 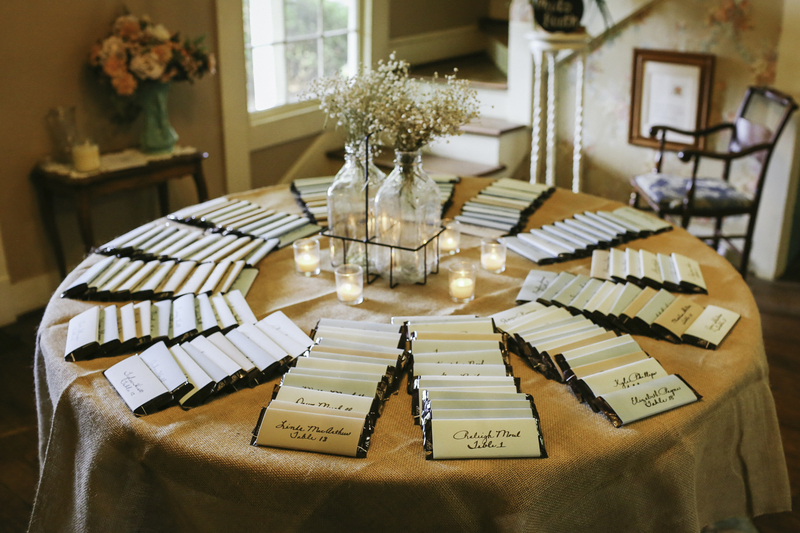 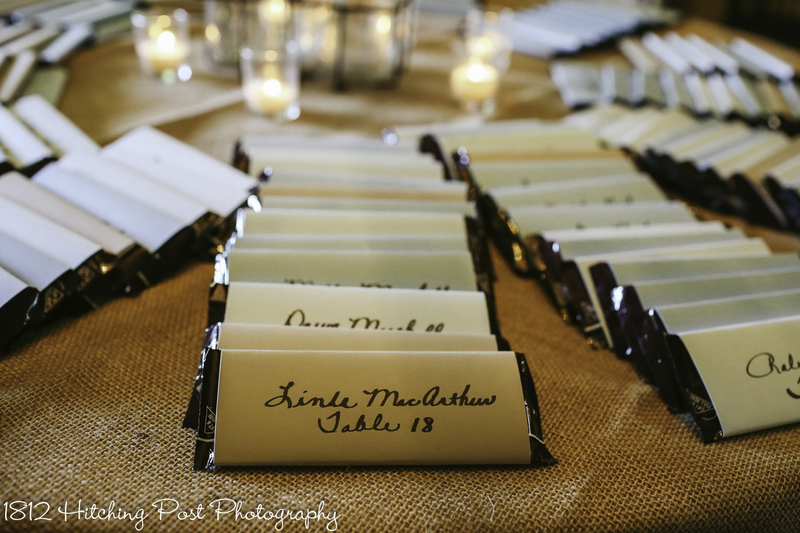 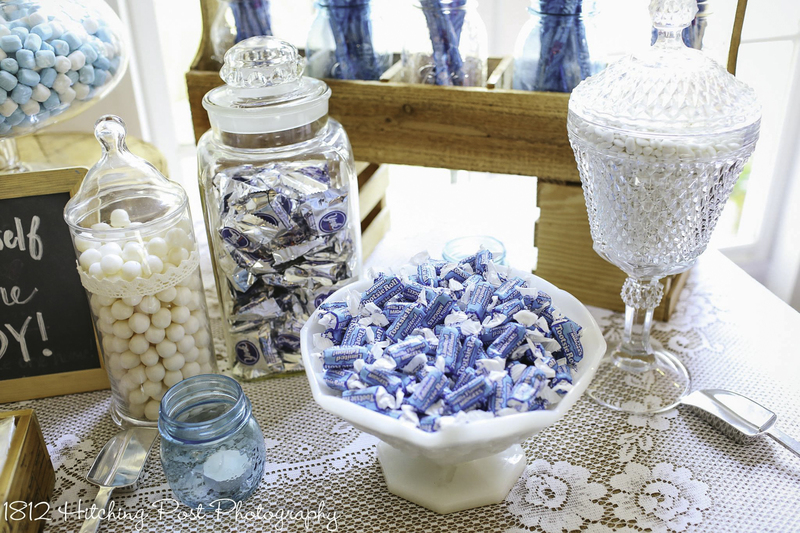 Candy bars with the guests names and table numbers directed them to reception seating. 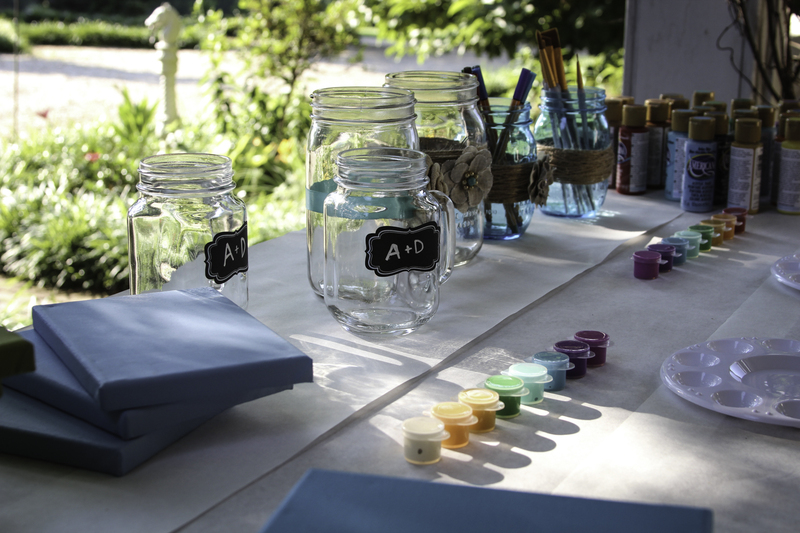 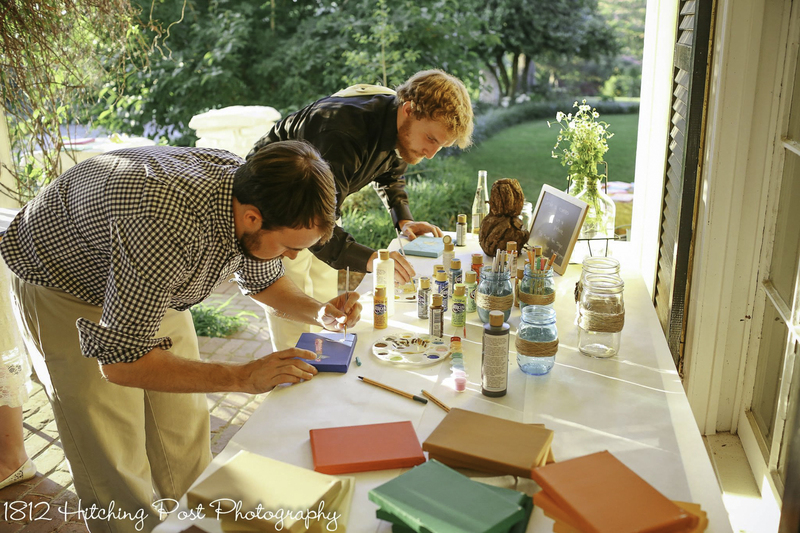 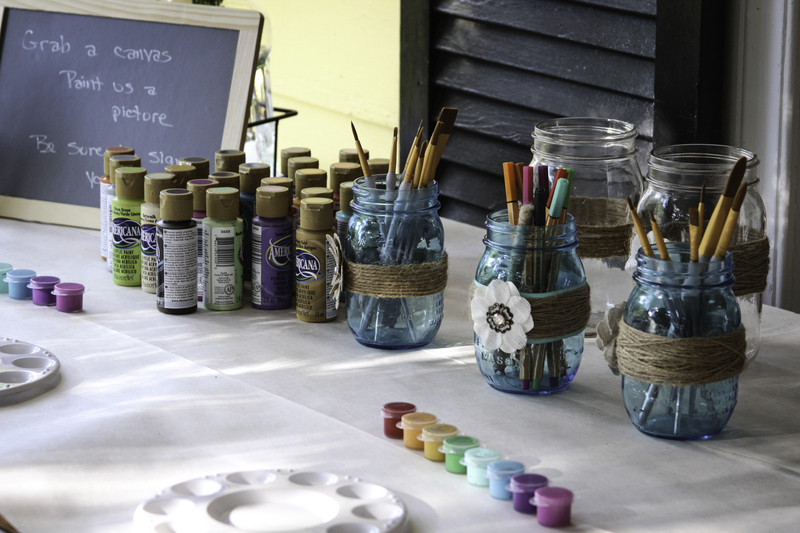 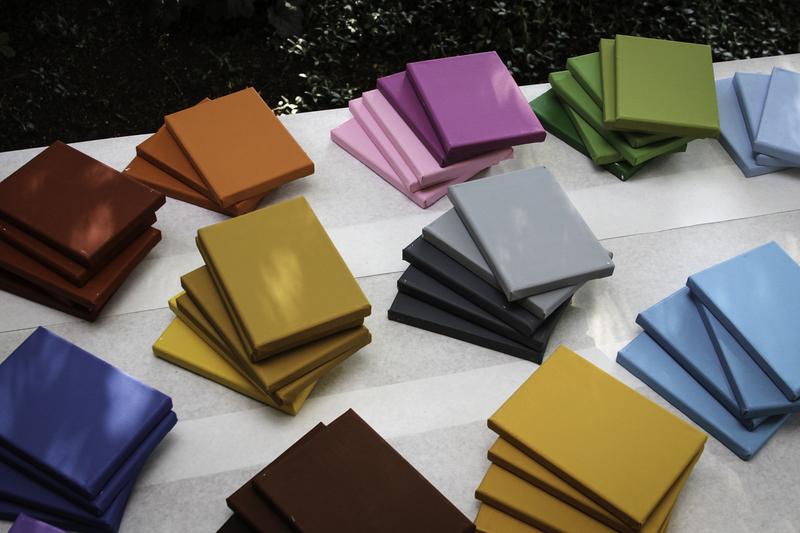 Ally and Dustin provided small colored canvases as their “guest book” for guests to paint and decorate. 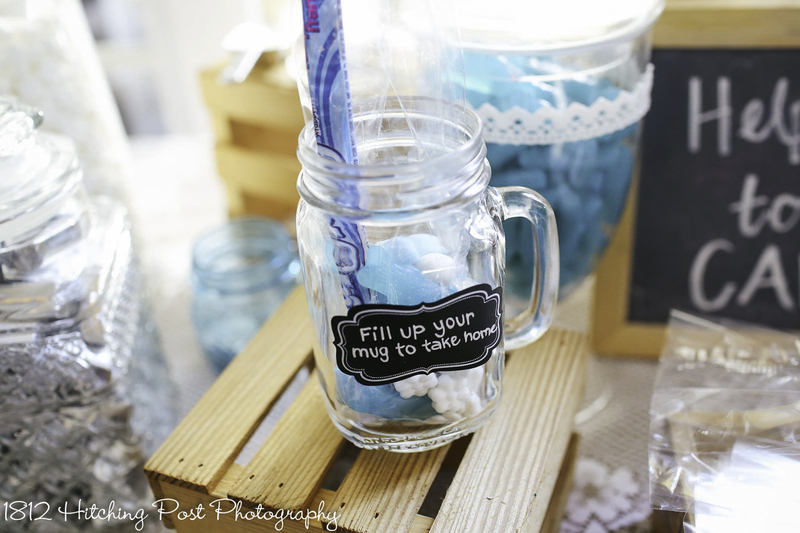 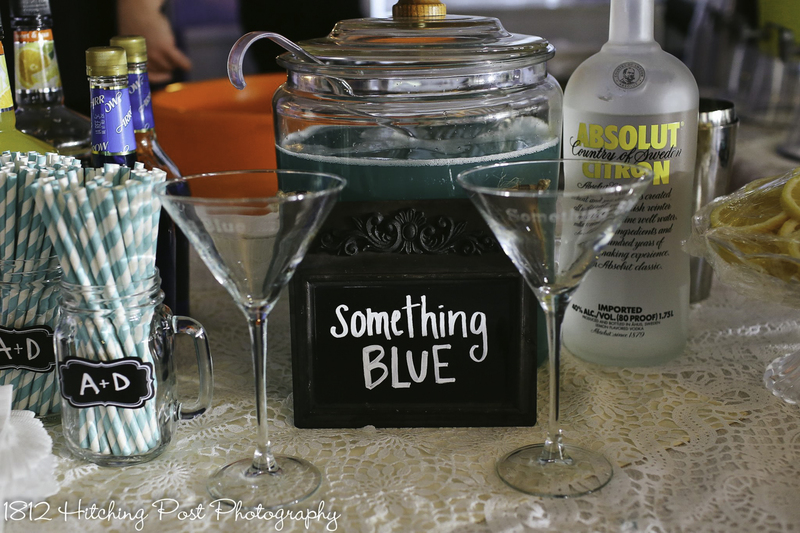 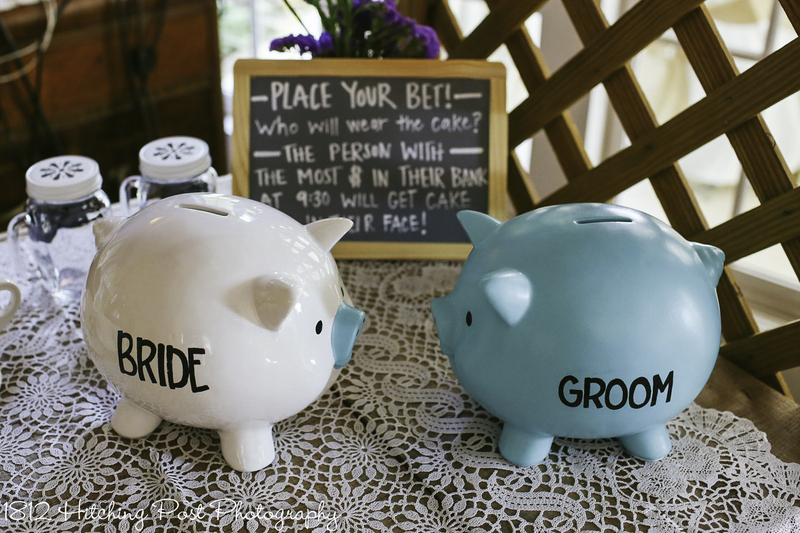 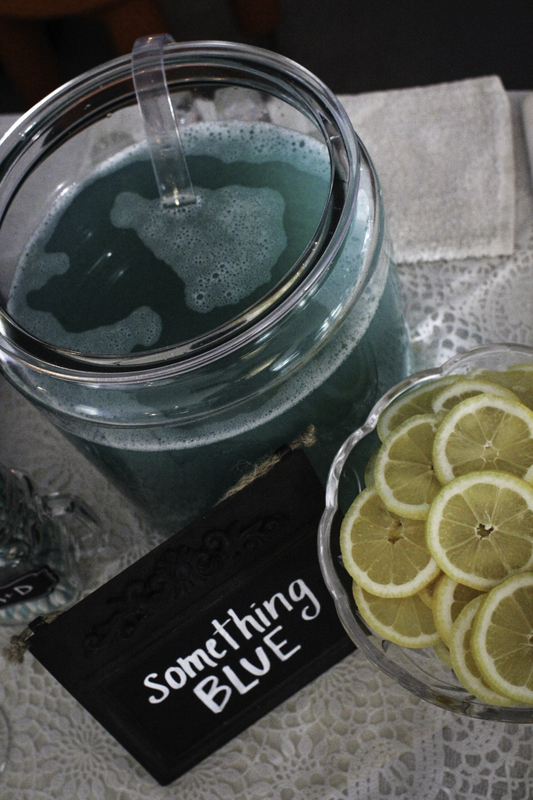 It was such a cute and fun idea for a guest book! 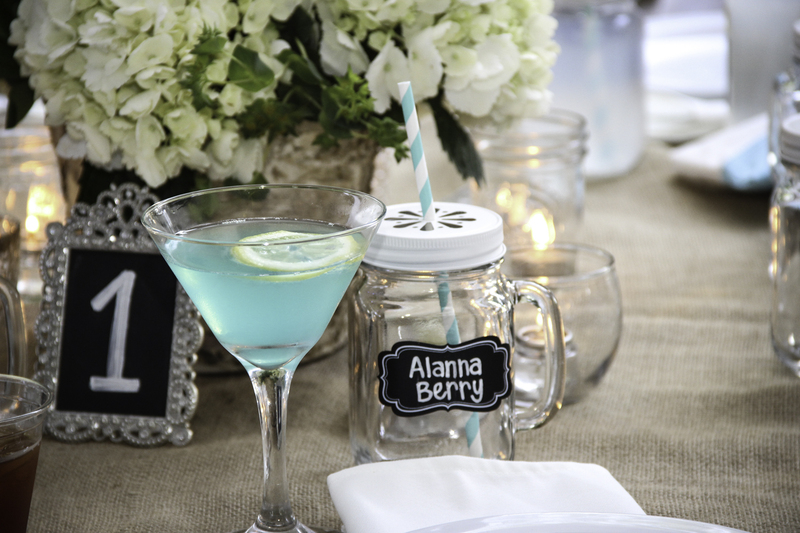 Ally’s wedding was memorable in so many ways. 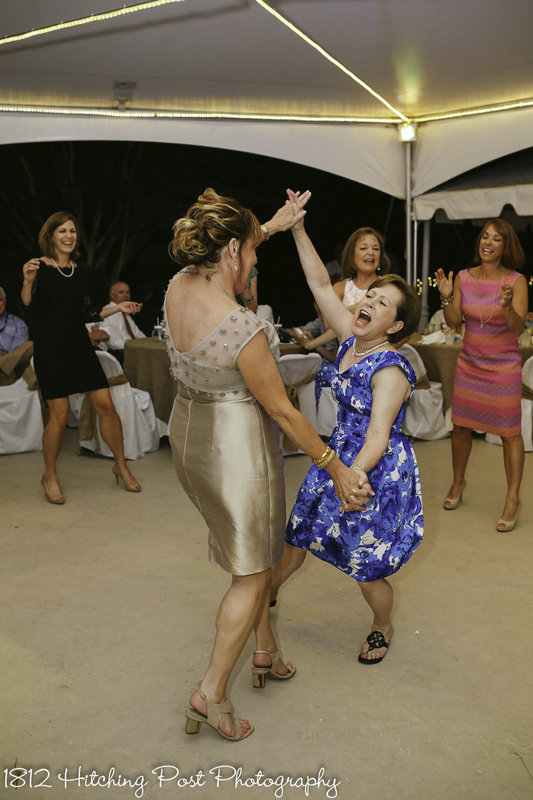 She and so many members of her family have an exceptional bond. 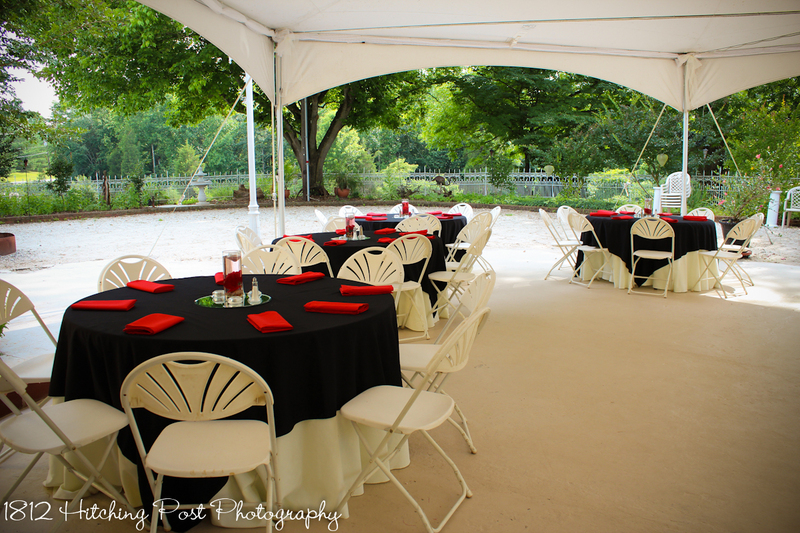 It was such a blessing to share in their event. 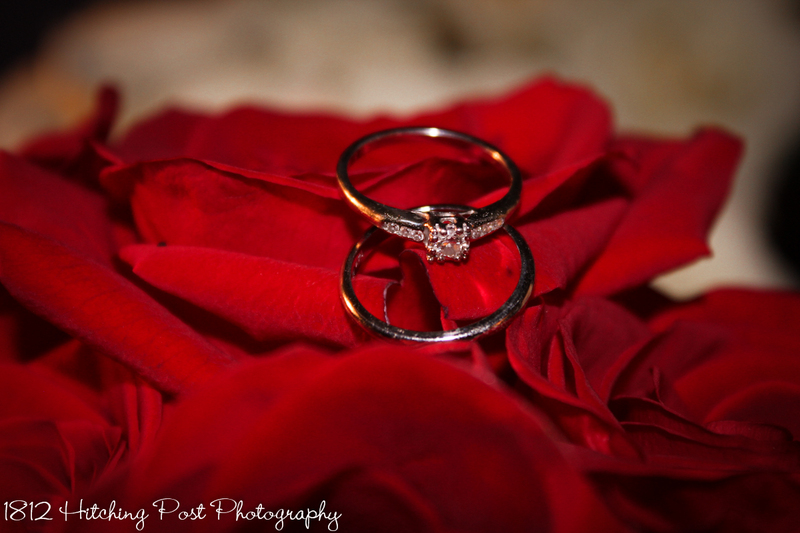 Photography provided by Taylor Gregory and Jordan Austin.